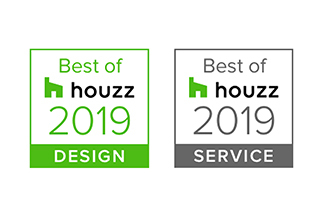 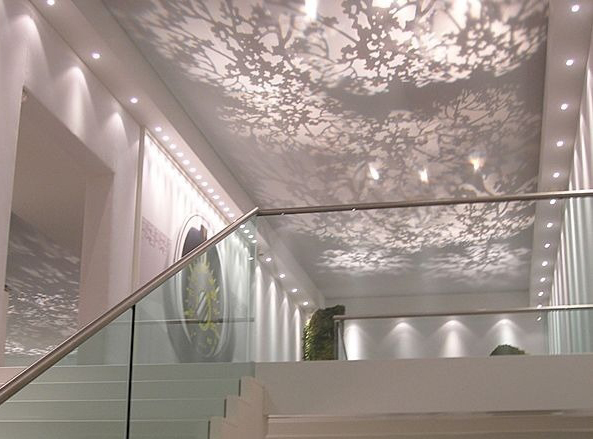 Find us on Houzz, with over 3,700 gallery images of our projects! 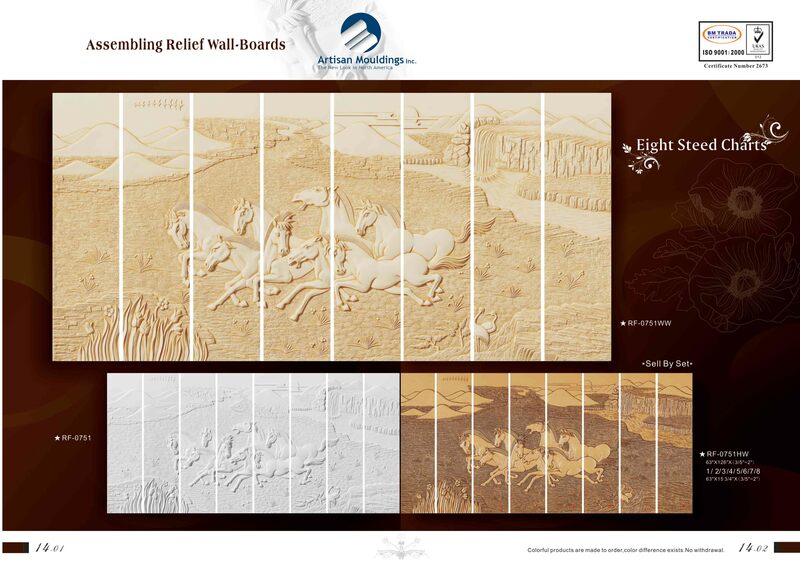 Or view our sample gallery below sorted by product. 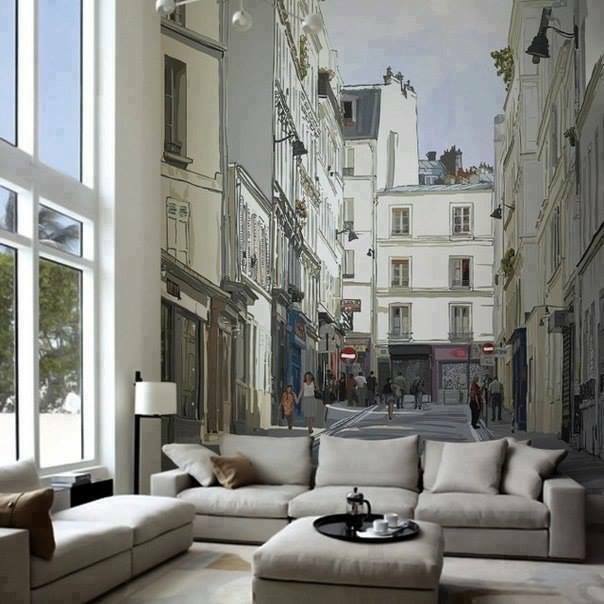 The is wall is FLAT! 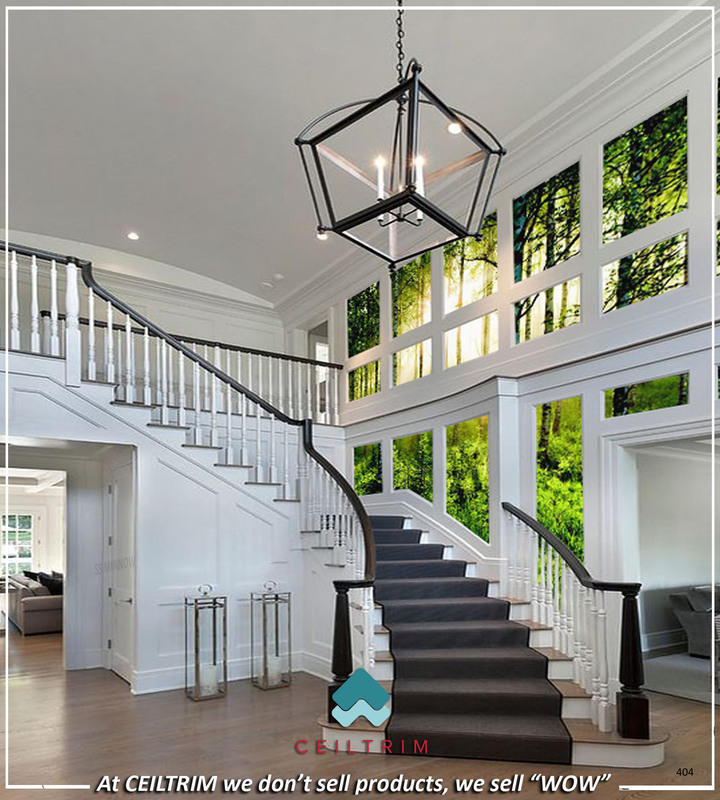 CEILTRIM 3D Photo Wall. 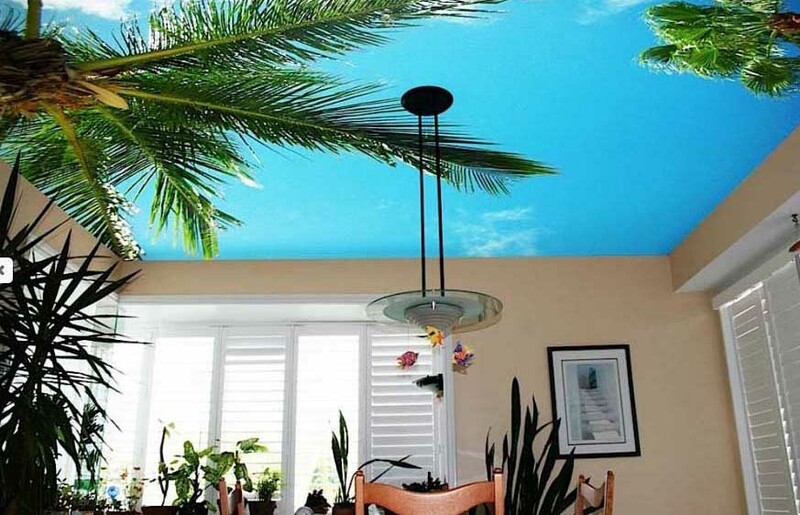 We can put ANY photo on your ceiling, wall, floor or pool bottom. 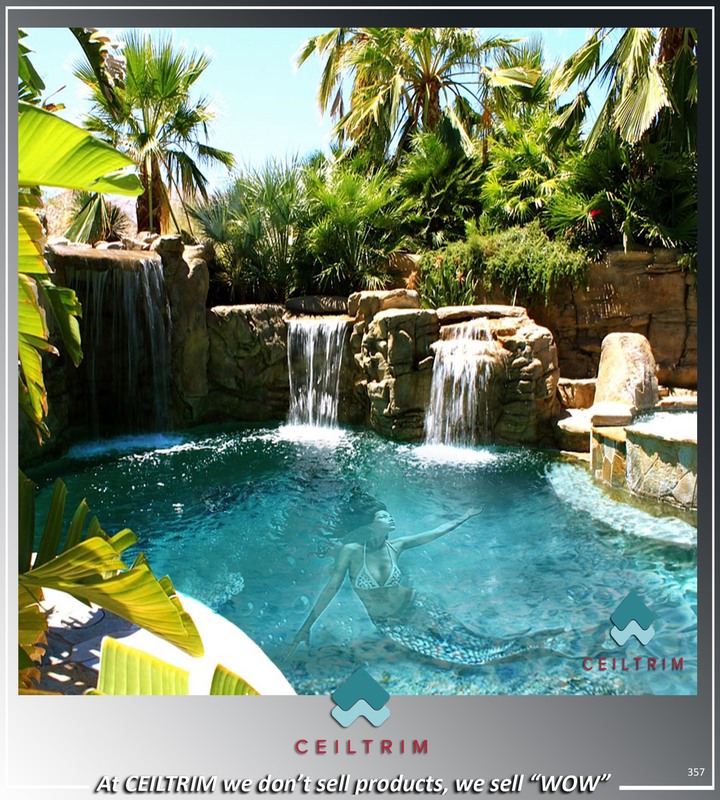 We can put ANY image on the bottom or sides of your pool or spa with our custom process. 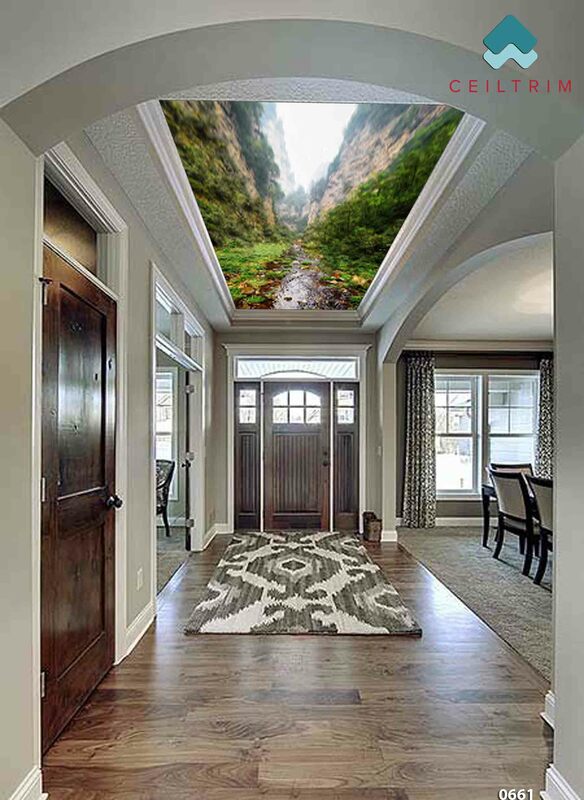 No de-laminating and no dis-colouring. 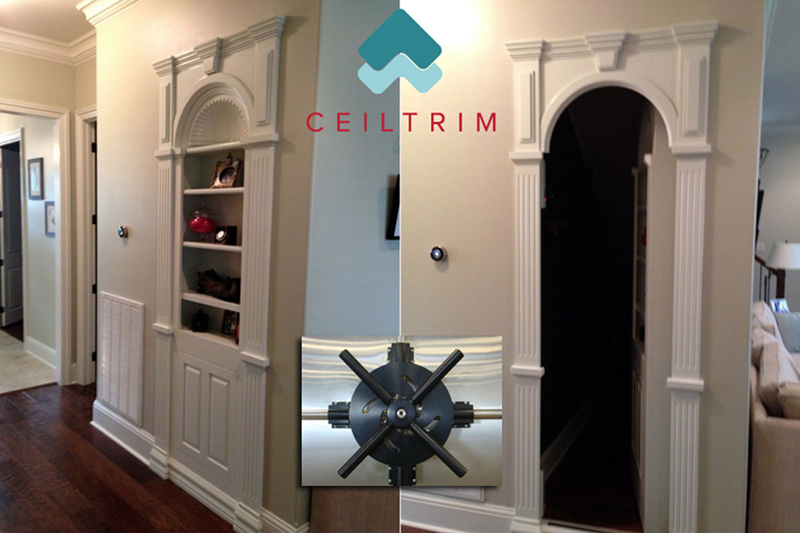 Our CEILTRIM Hidden Passageways from Creative Home Engineering are bullet and bomb proof. 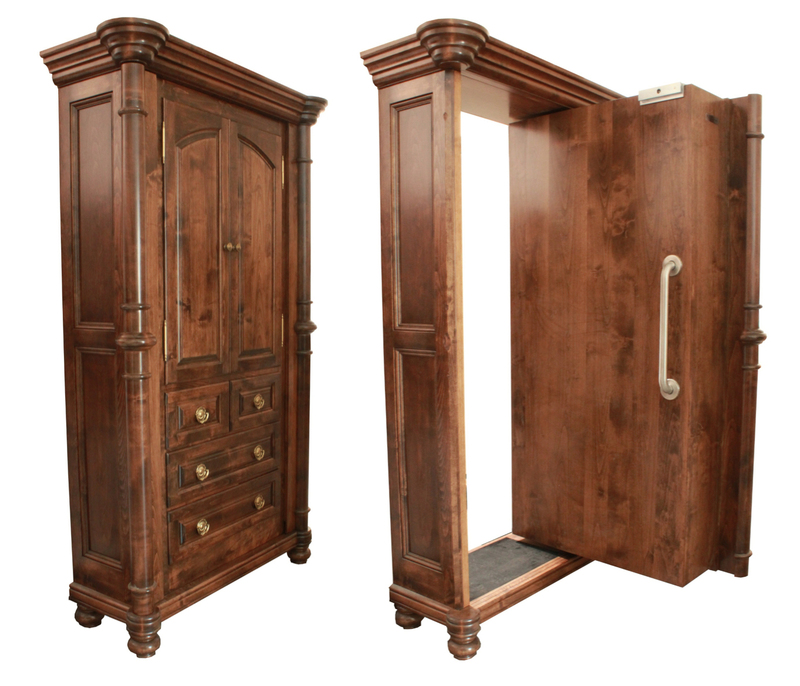 A hidden button, fingerprint or retinal scanner opens the mag-locks for quick entry. 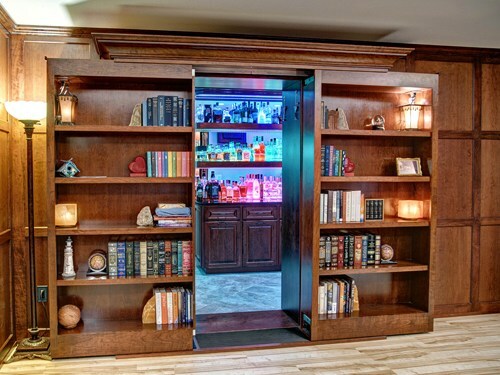 On the inside, door closes like a bank vault and there's LCD monitor so you can see outside the room or rest of the house to know when it's safe! 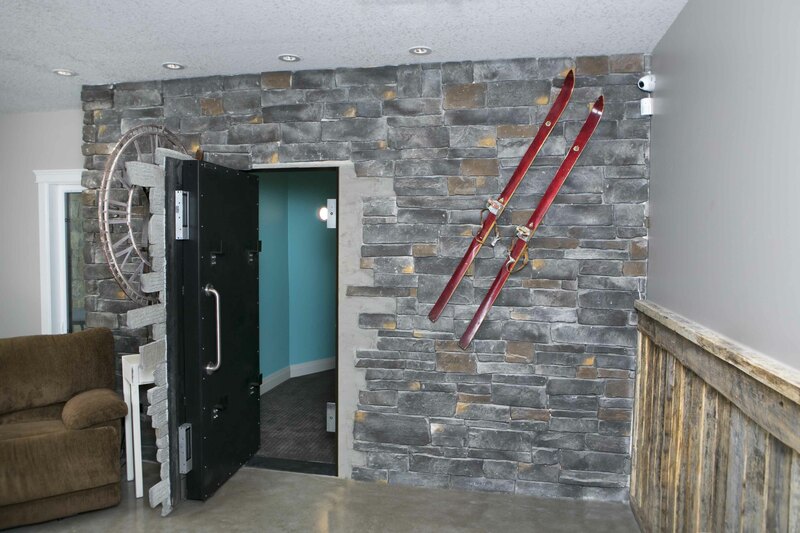 We line the walls of the Safe Room with our Bullet Proof Plaster. 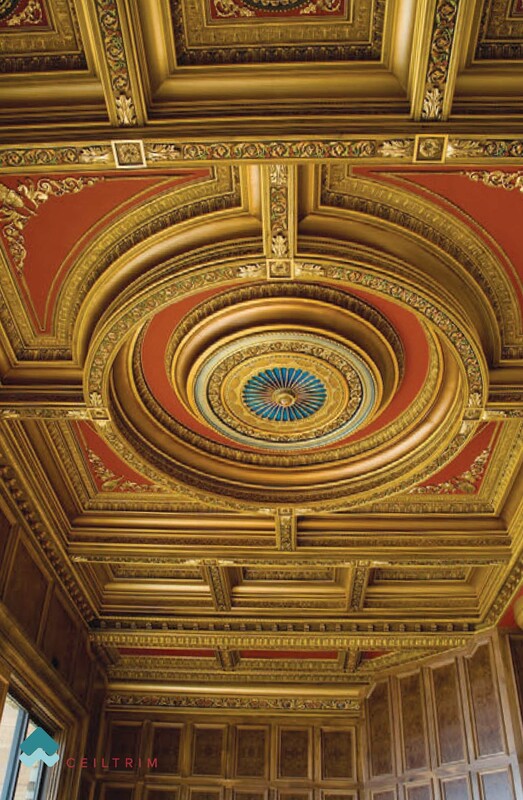 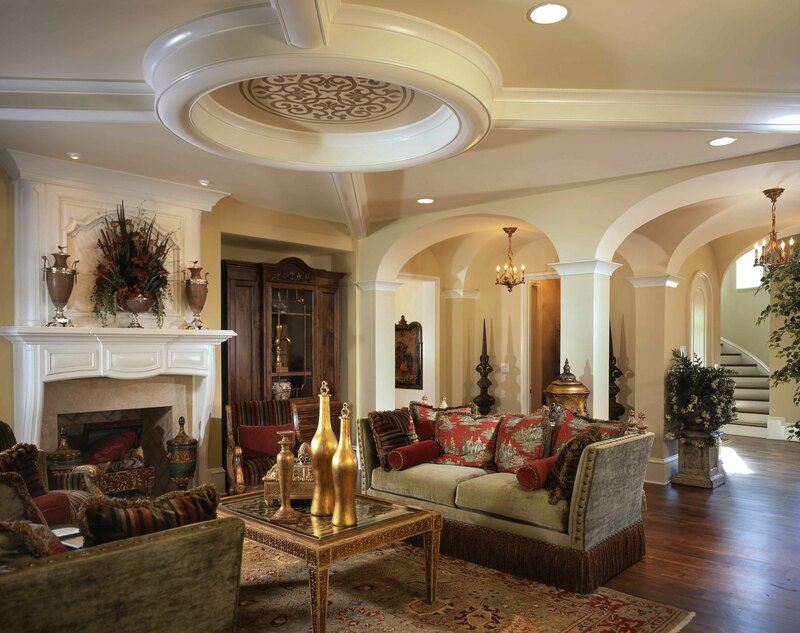 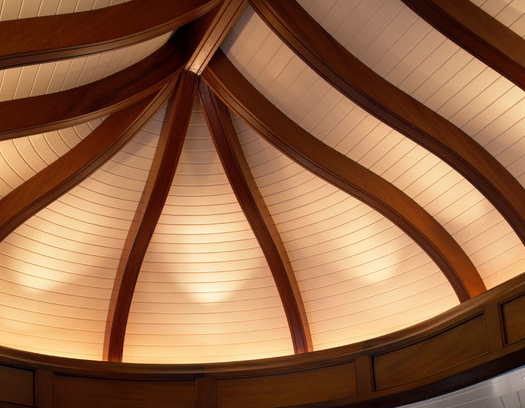 Our Dome Ceilings are perfectly curved every time, they install quickly and bring something new to boring flat ceilings! 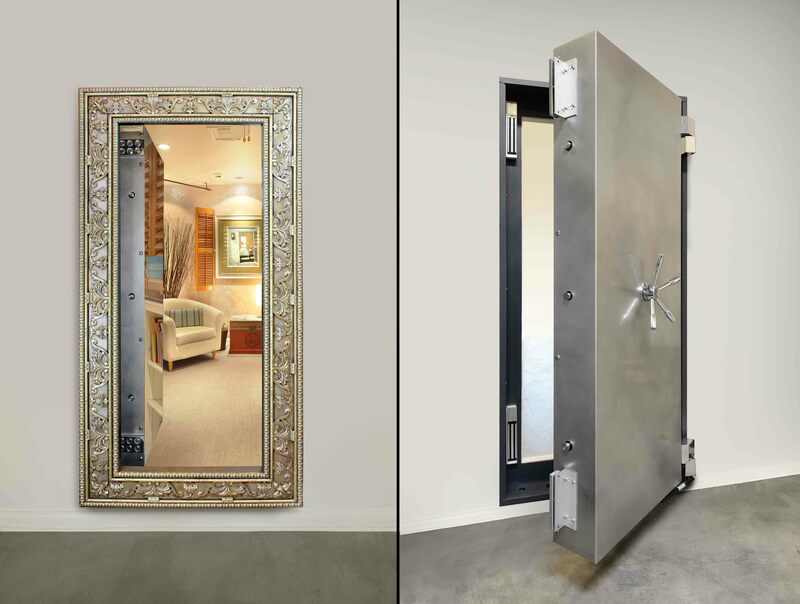 This locks down just like a bank vault door; bullet/fire proof just like our Safe Rooms it will lead too! 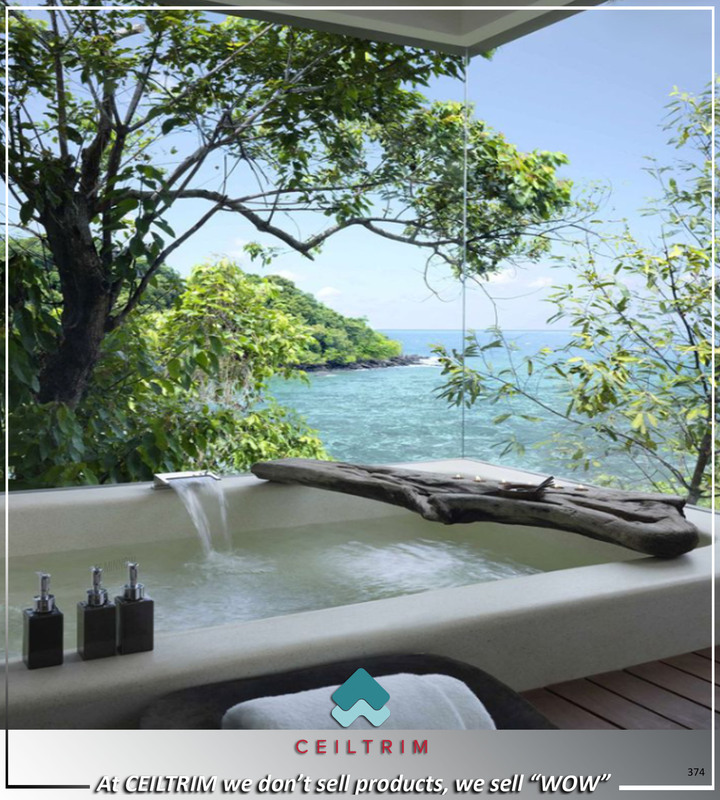 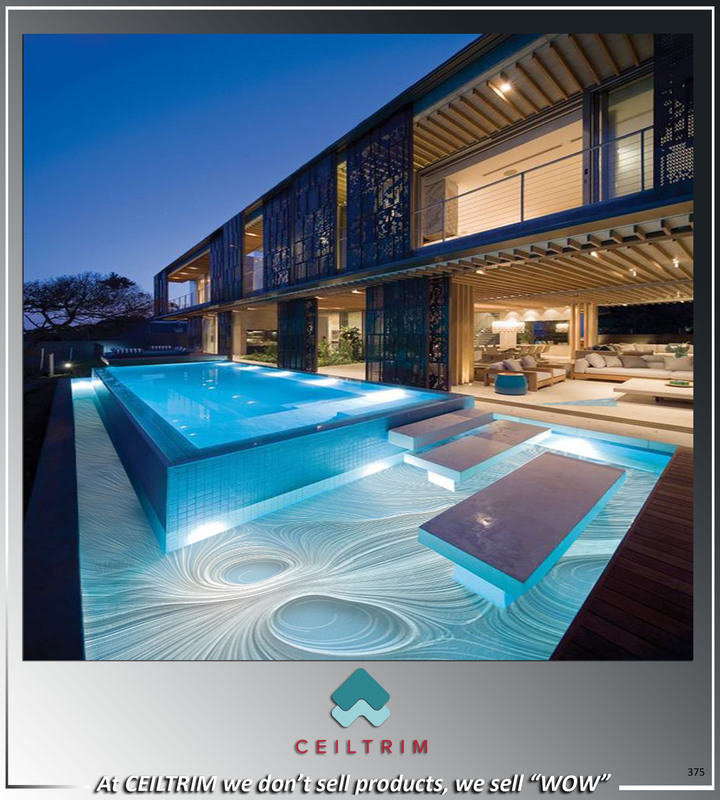 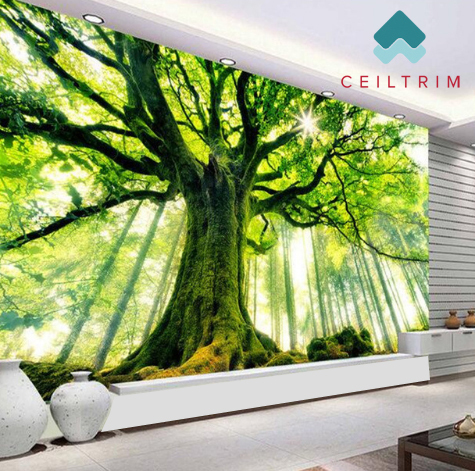 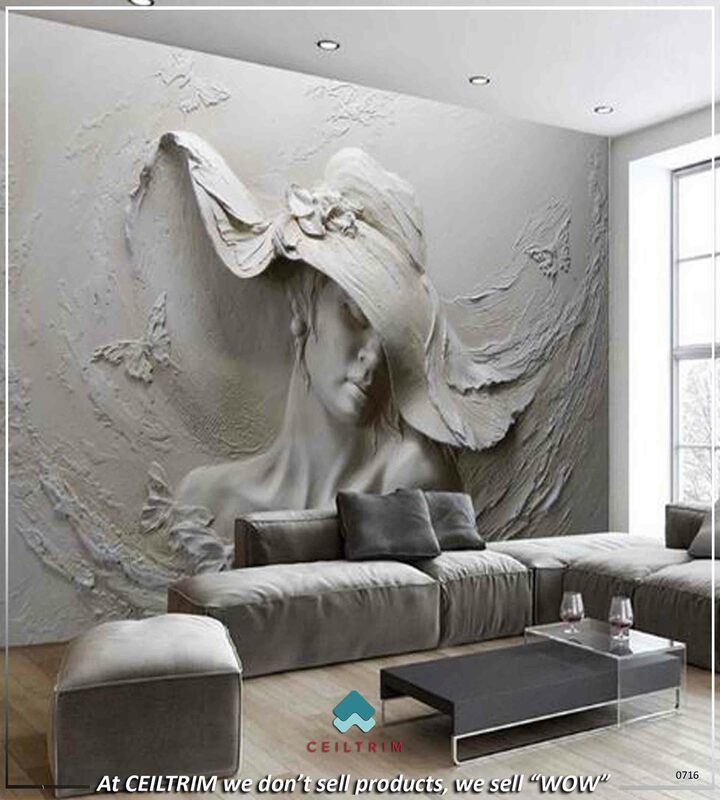 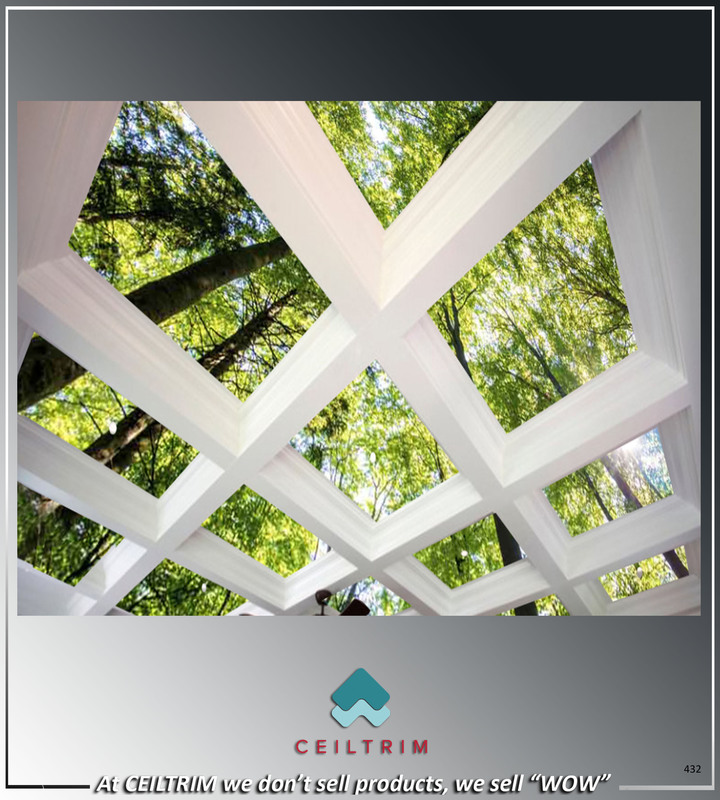 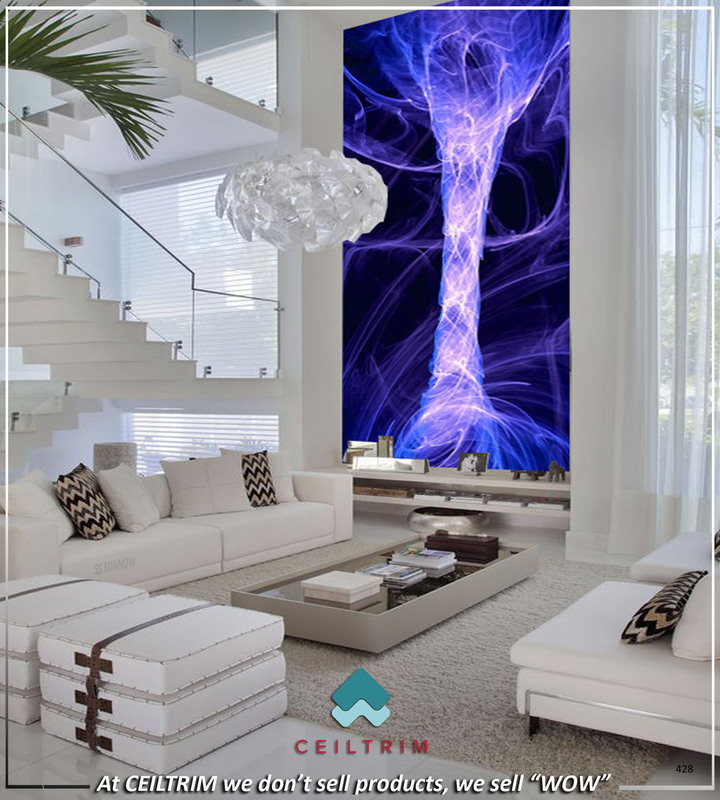 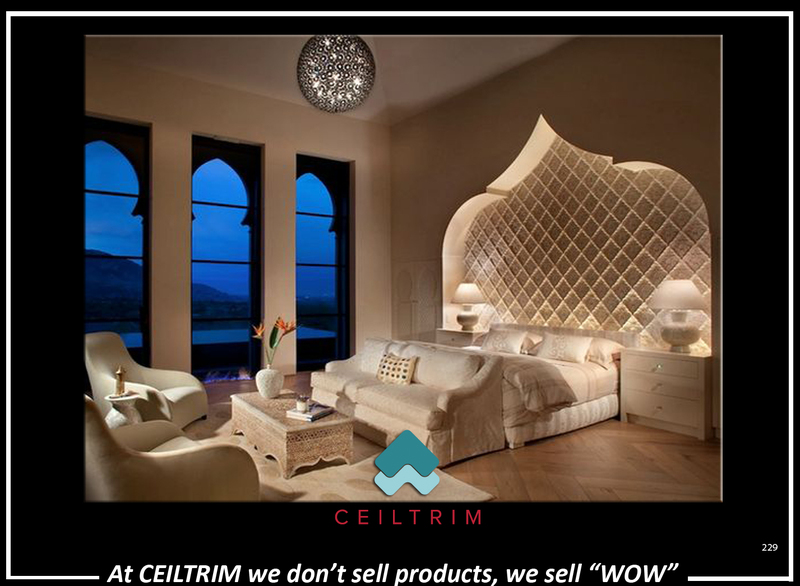 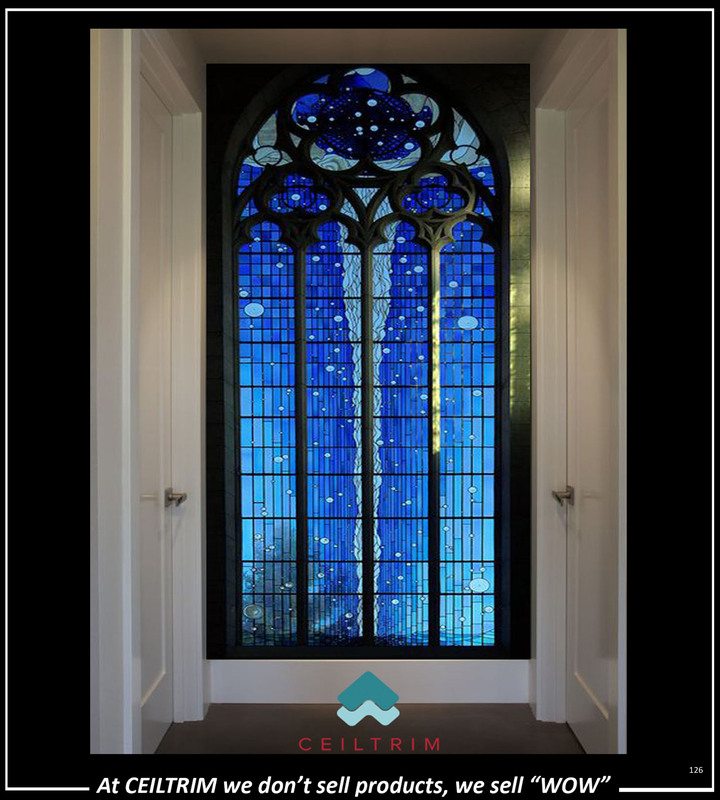 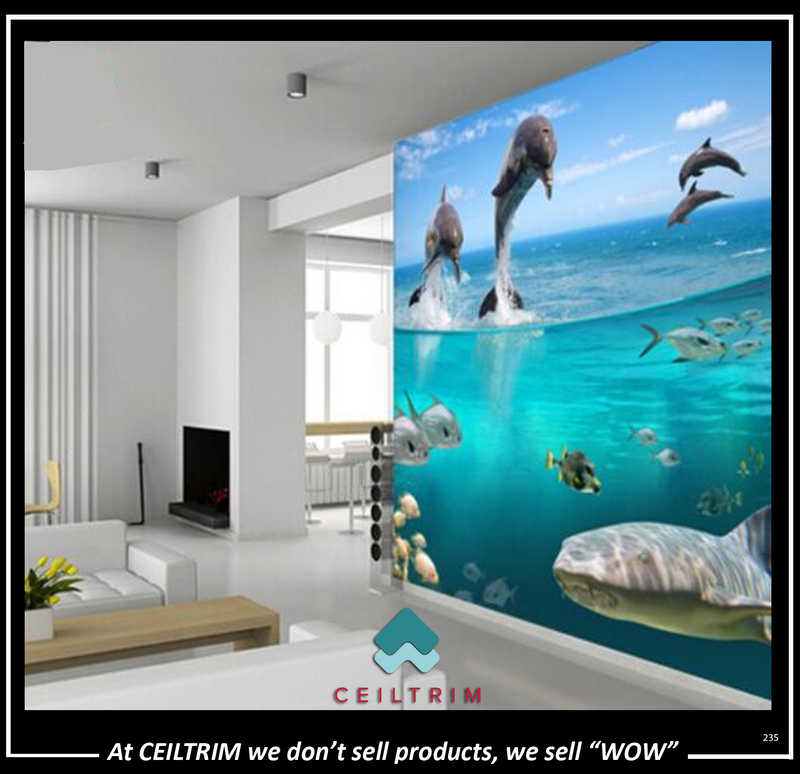 CEILTRIM Photo Wall - any picture on any Wall, Ceiling or Floor! 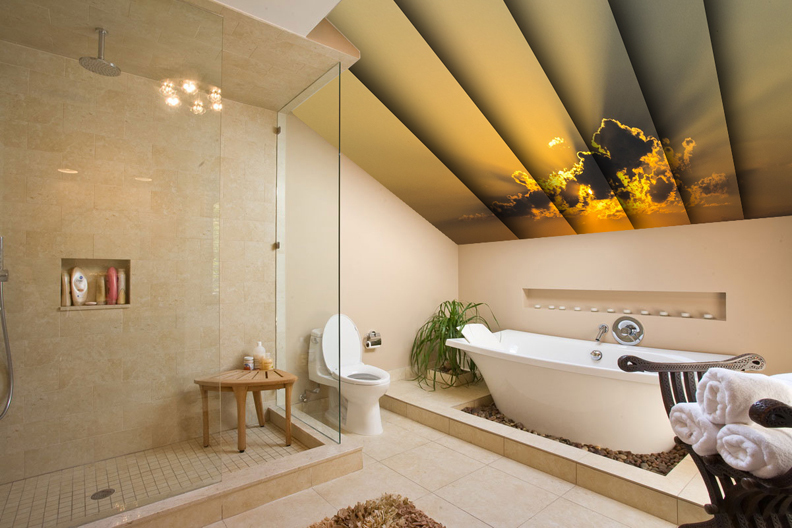 CEILTRIM Photo Ceiling in Master Bath... yes that pic of the sunset is flat! 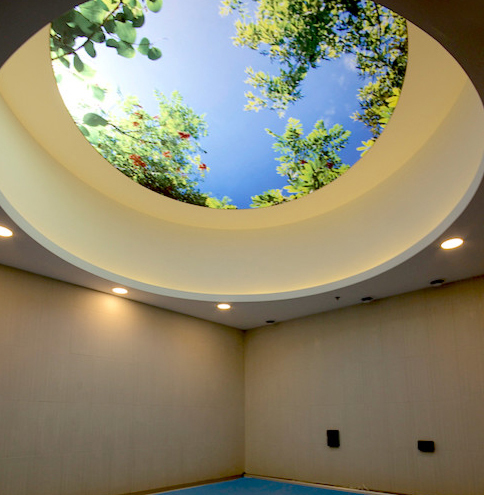 We can put ANY high resolution on the bottom or sides of your pool or spa without de-lamination or dis-colouring! 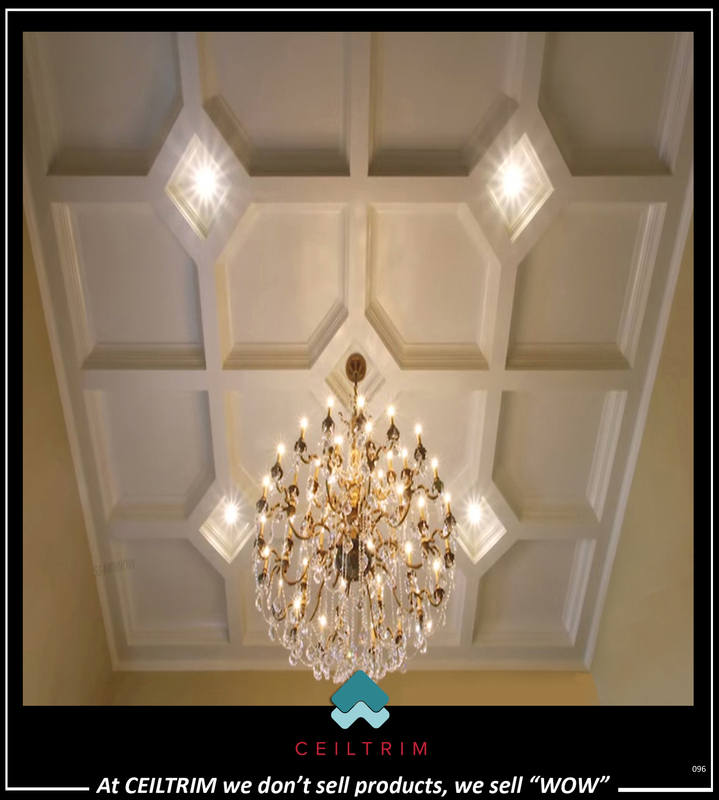 This CEILTRIM Phtoo Wall is back lit for added WOW! 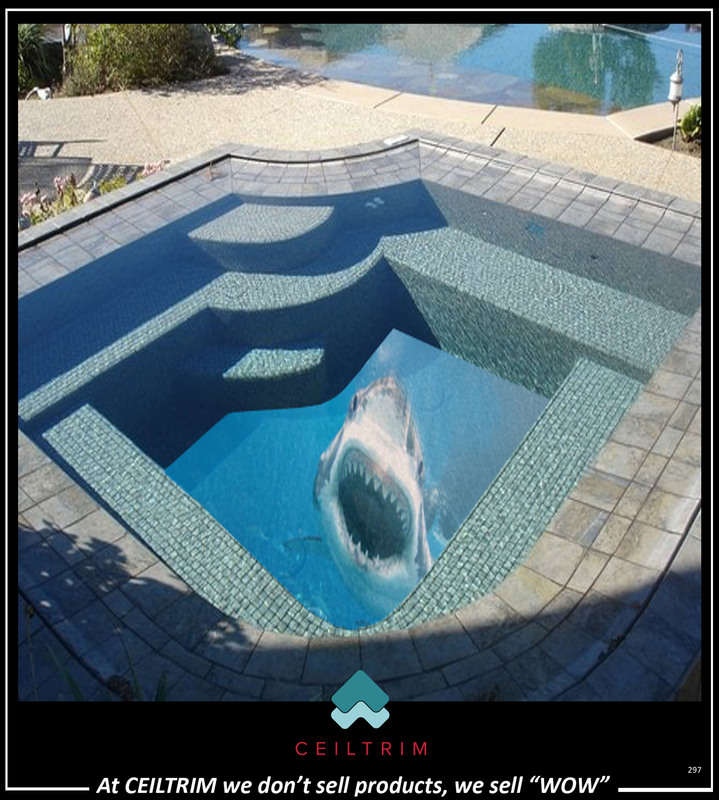 The Great White; an evil client gets a ton of fun out of this... he has first time folks get into the spa with the jets going. 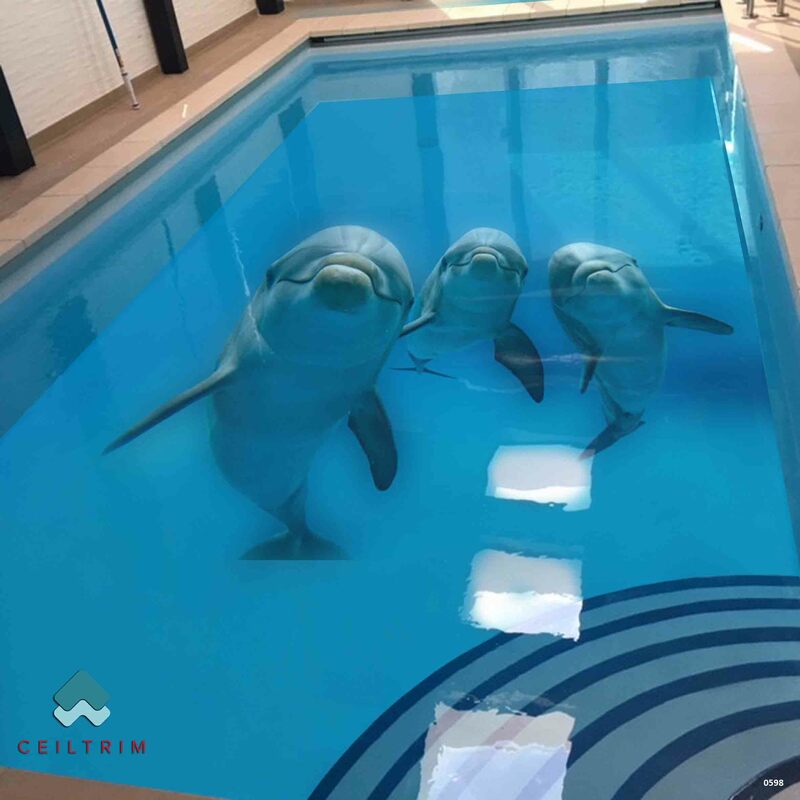 They're on a timer... when the bubbles clear, he says he's had people jump clear out of the spa! 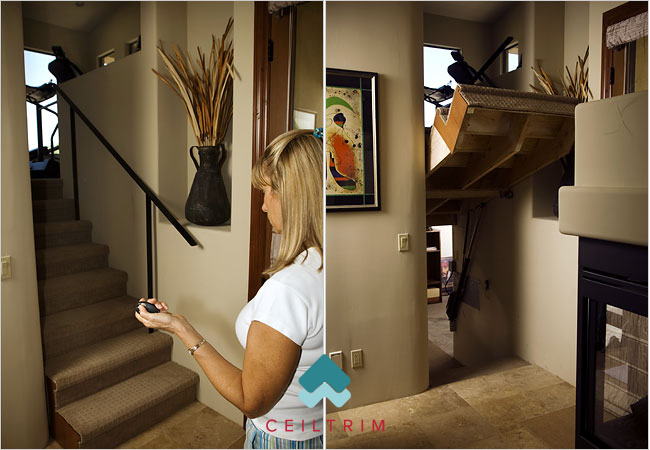 A remote controlled stairway that lifts up revealing a hidden room. 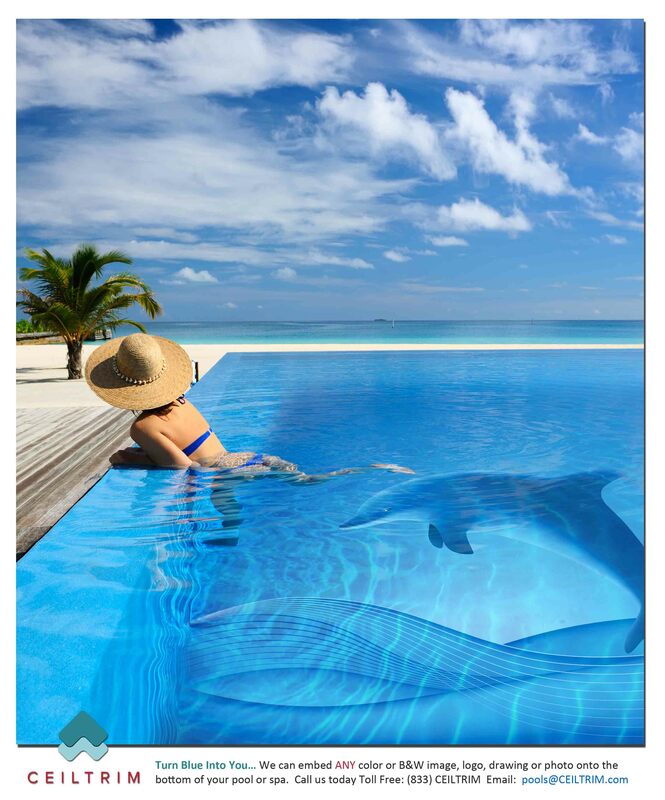 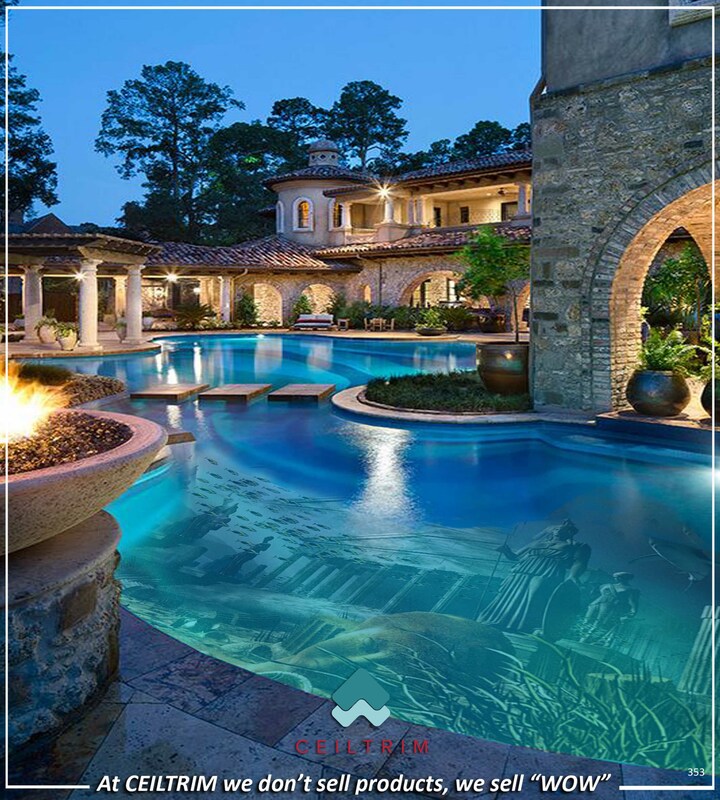 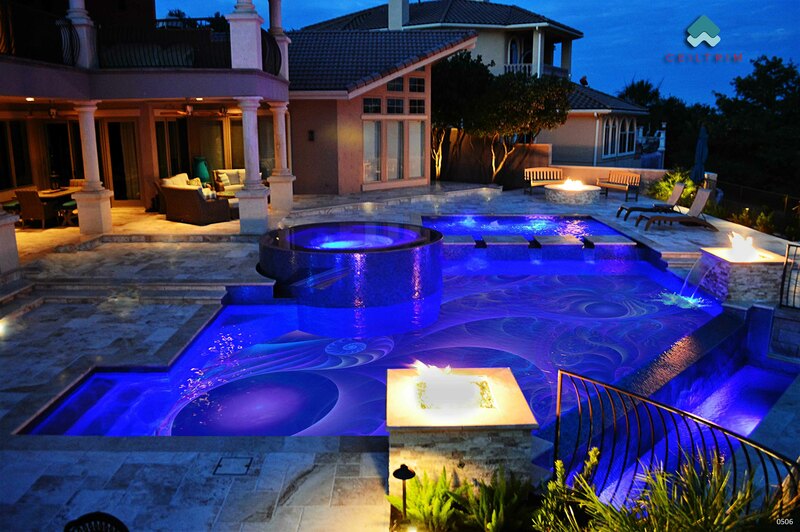 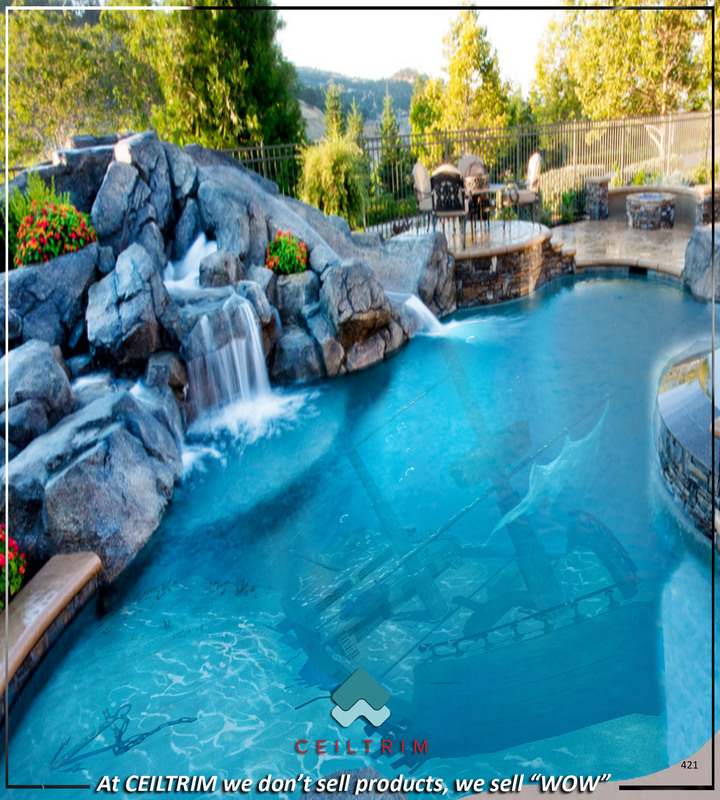 We can put ANY high resolution image embedded in our unique formula on the bottom or sides of your pool or spa! 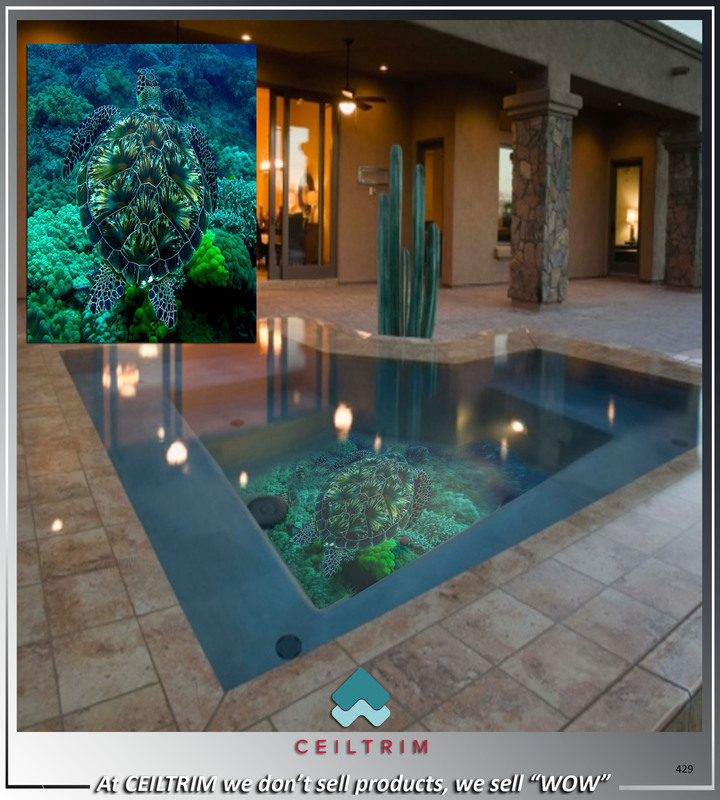 Sea Turtle, Camo level: Expert! 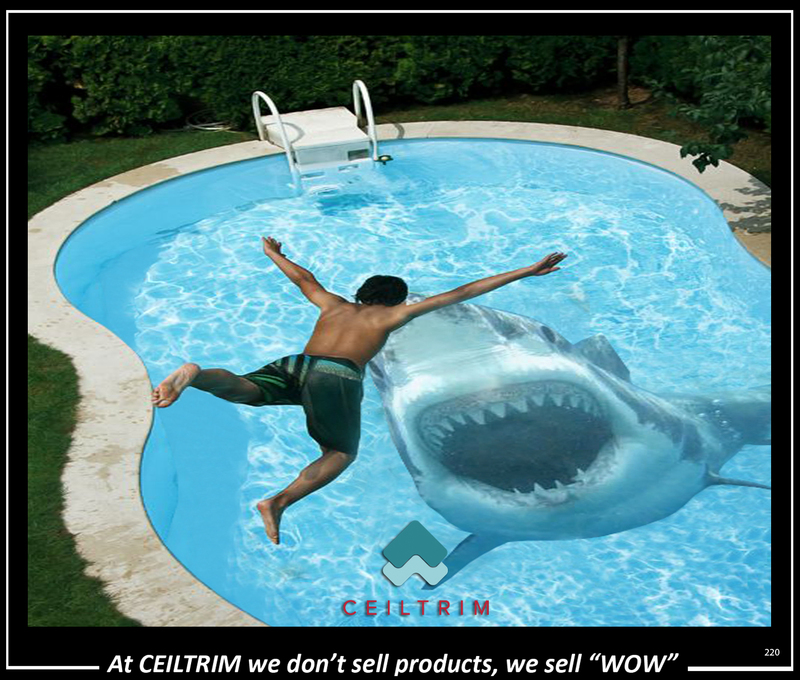 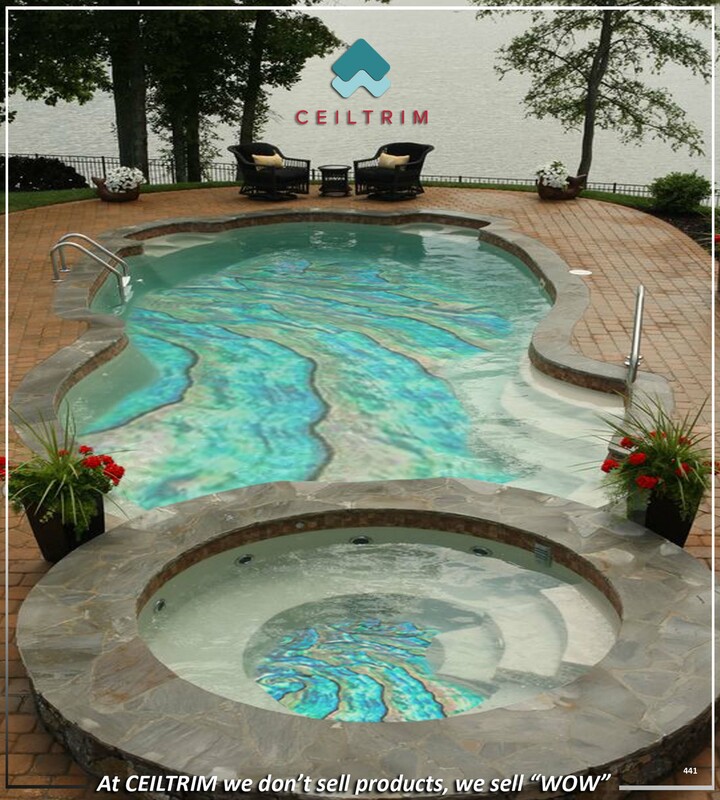 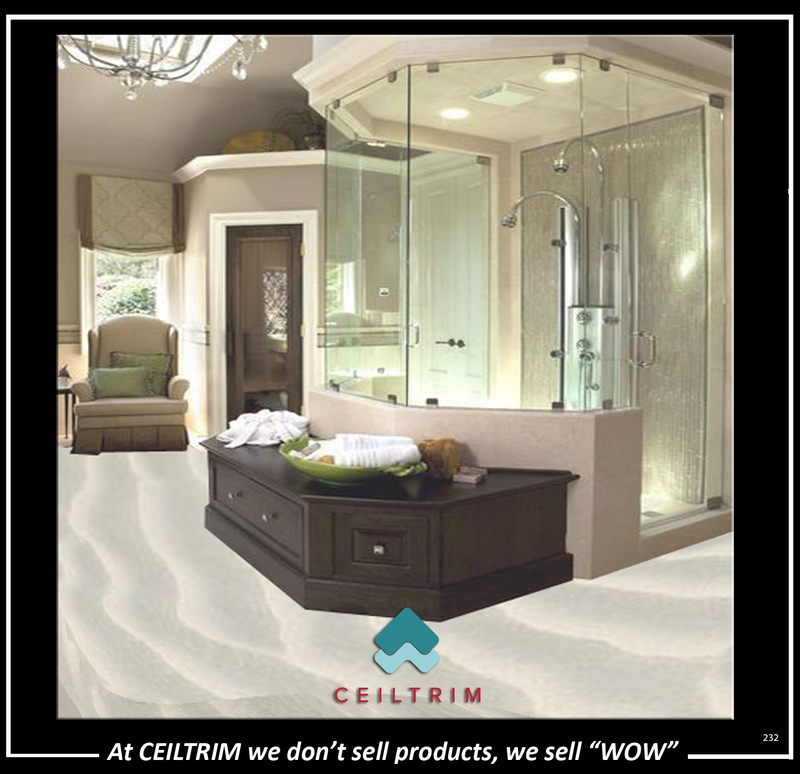 CEILTRIM 3D Resin Photo Bottom in an in-ground hot tub/spa. 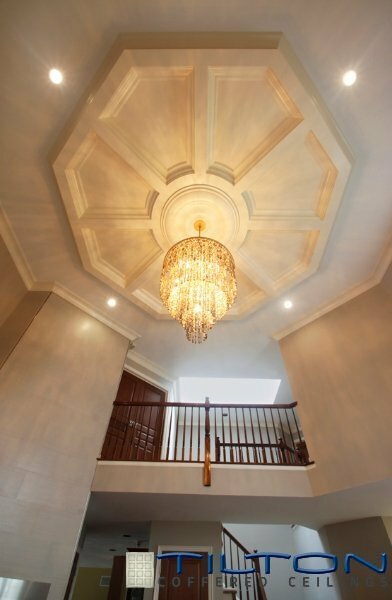 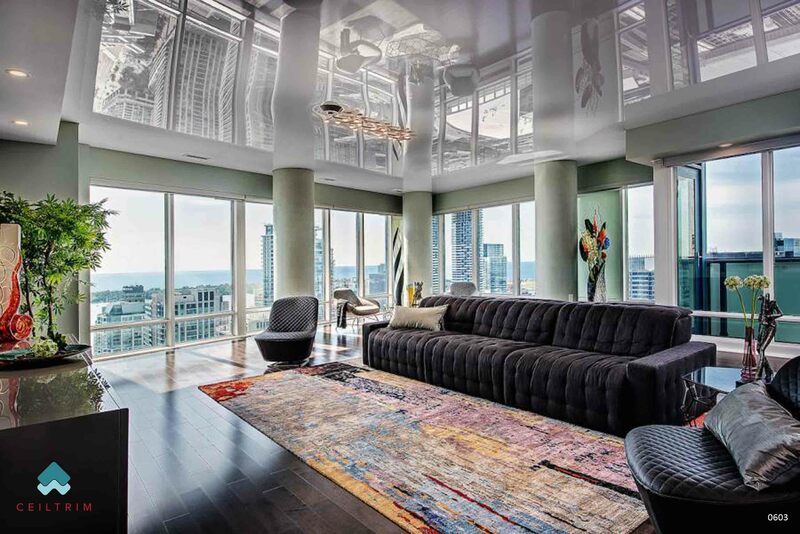 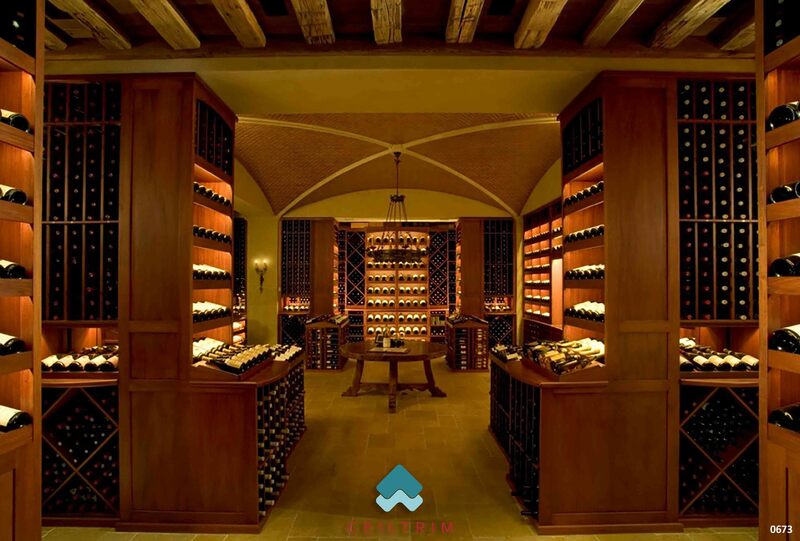 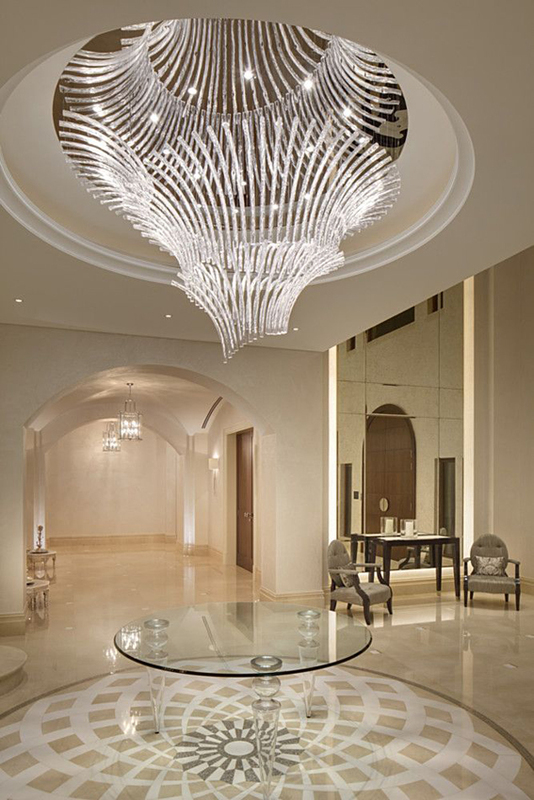 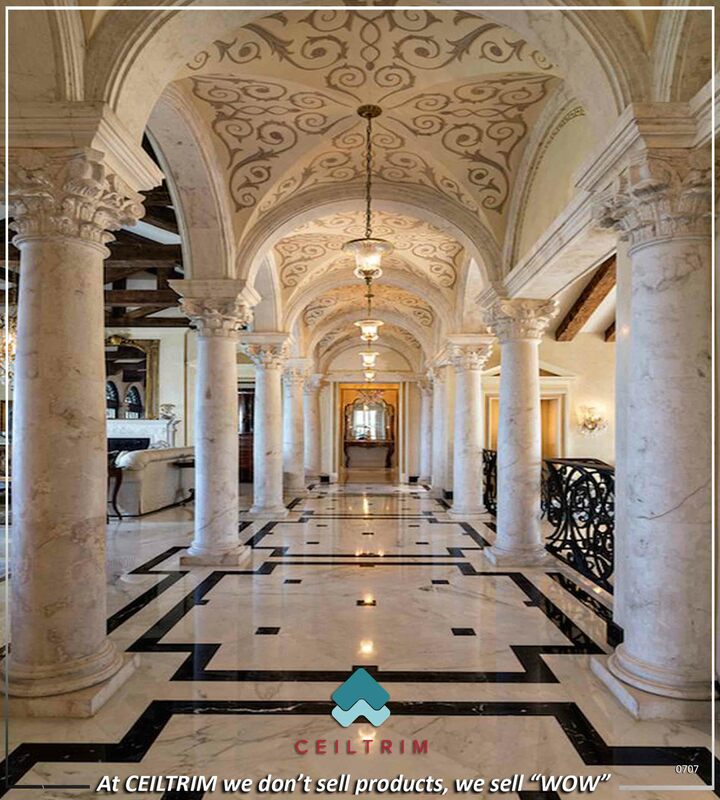 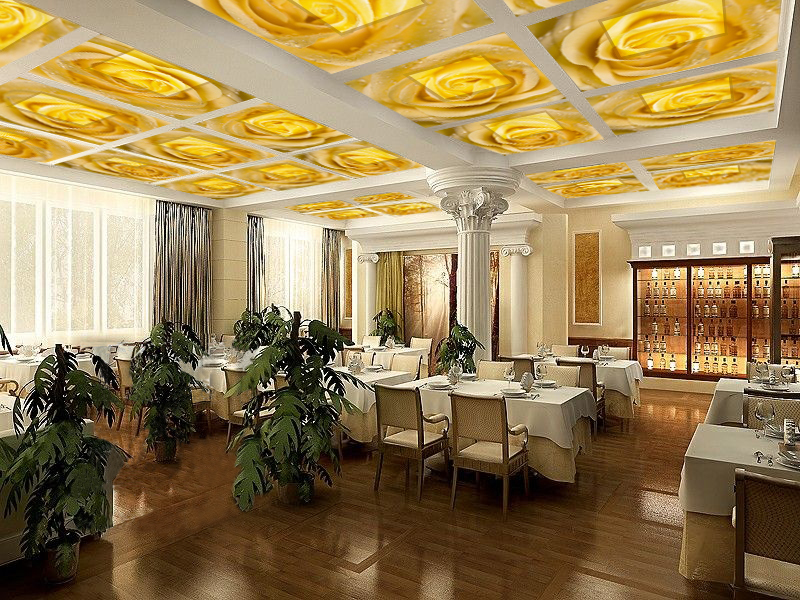 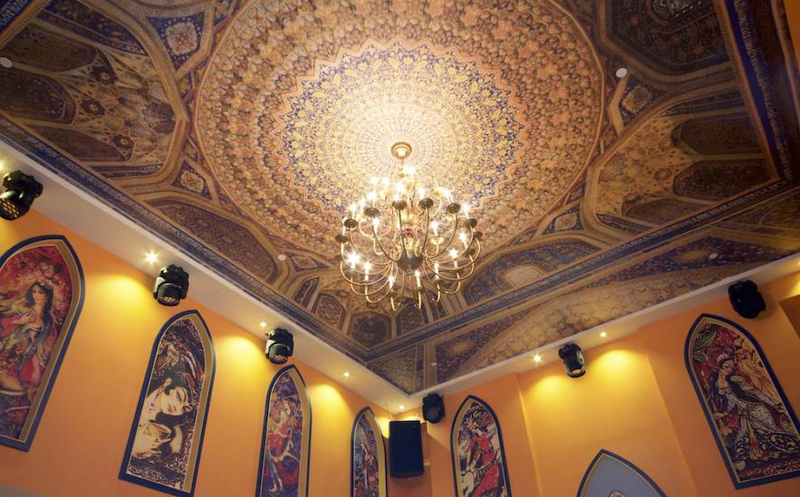 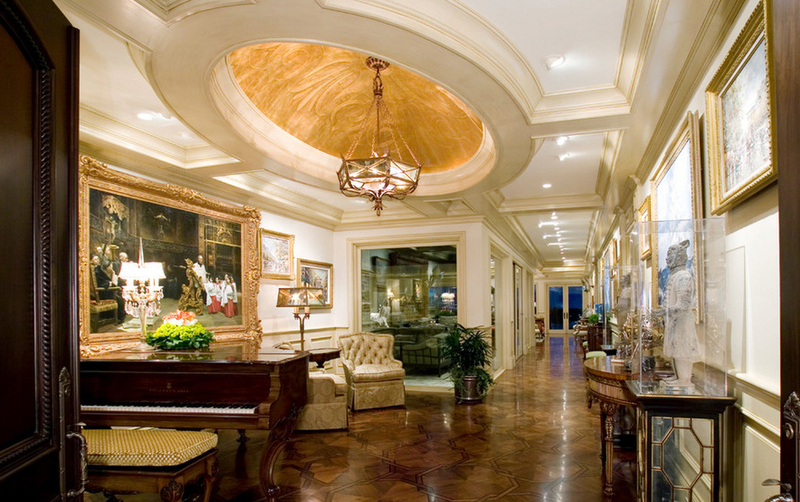 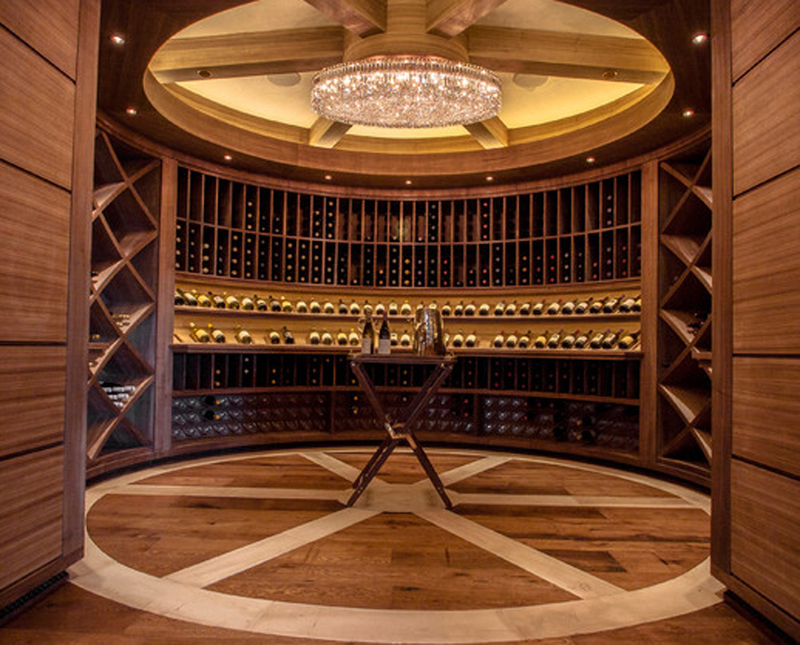 This stunning ceiling was custom designed and built for client. 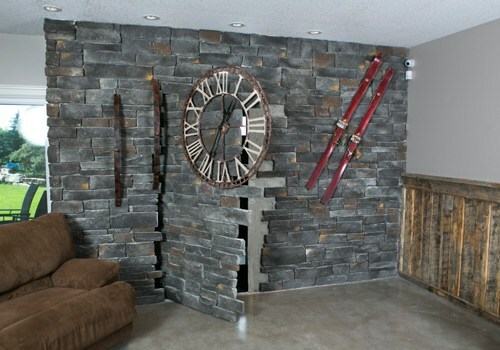 Custom Engineered, Bullet/Fire Proof... 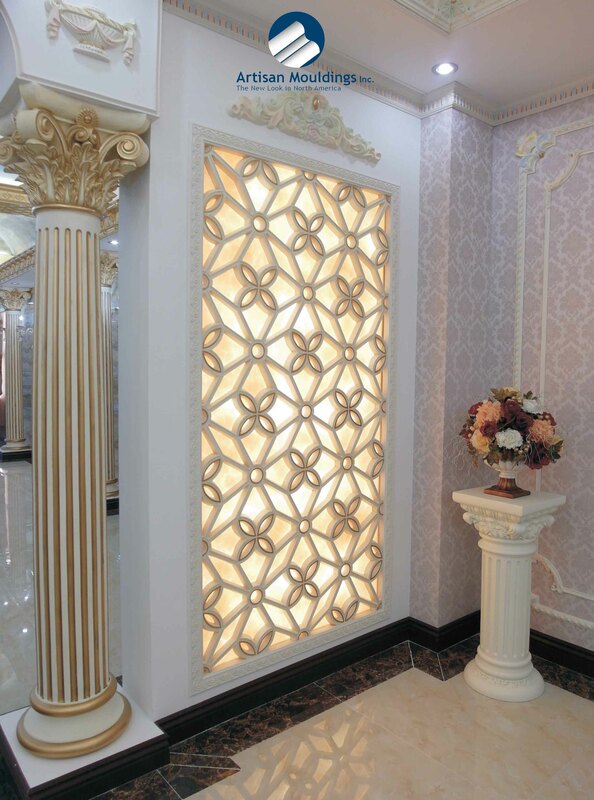 Highly engineered and high-tech entrance options. 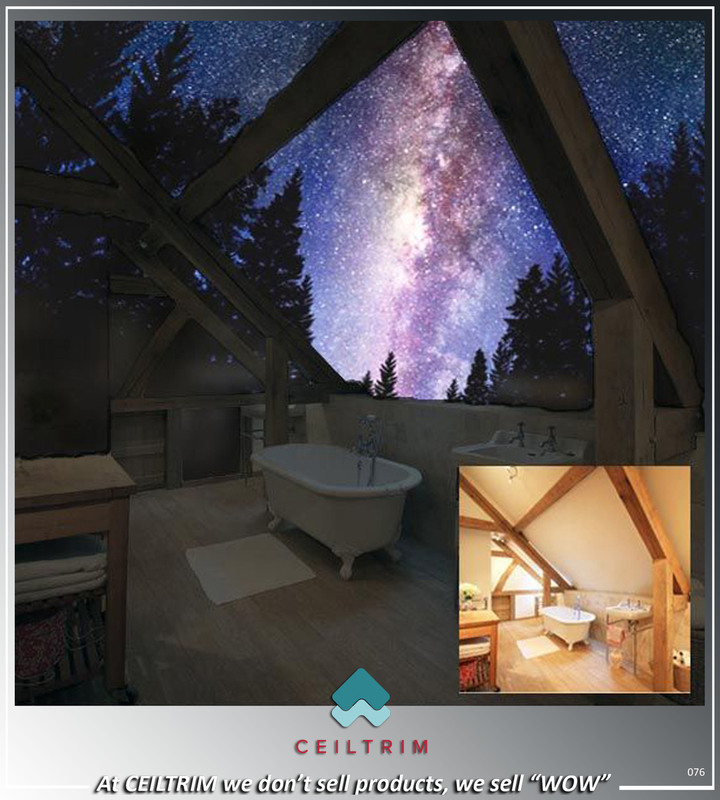 Builders roll their eyes at me when they tell me they only do "Ultra Modern" as if to say my curved ceilings would NEVER fit in? 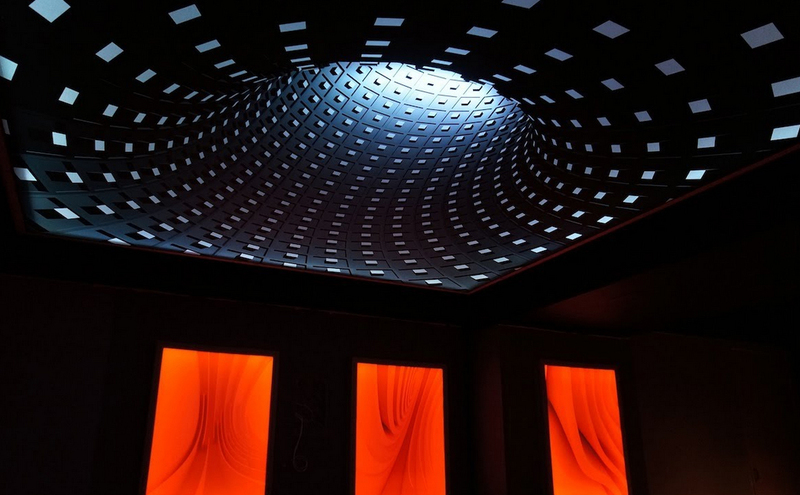 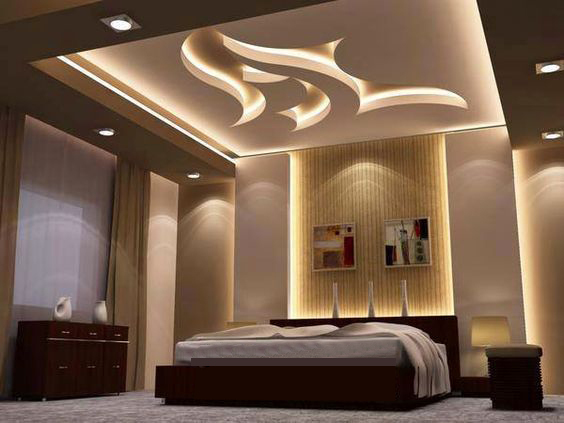 Well I only need to show them installations like the above ceiling and the finally "Get" what we can bring to their projects... actually, the more you look at this bedroom... it would be lost if it was all just straight lines. 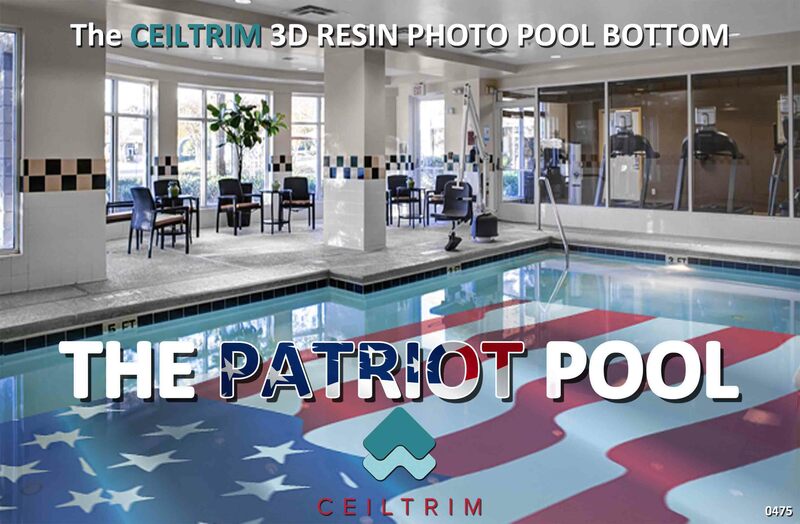 We can put any image embedded in our custom resin on the bottom/sides of your pool or spa. 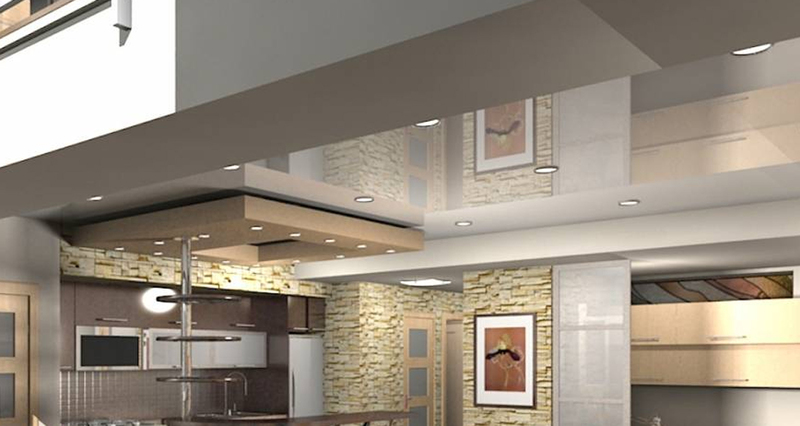 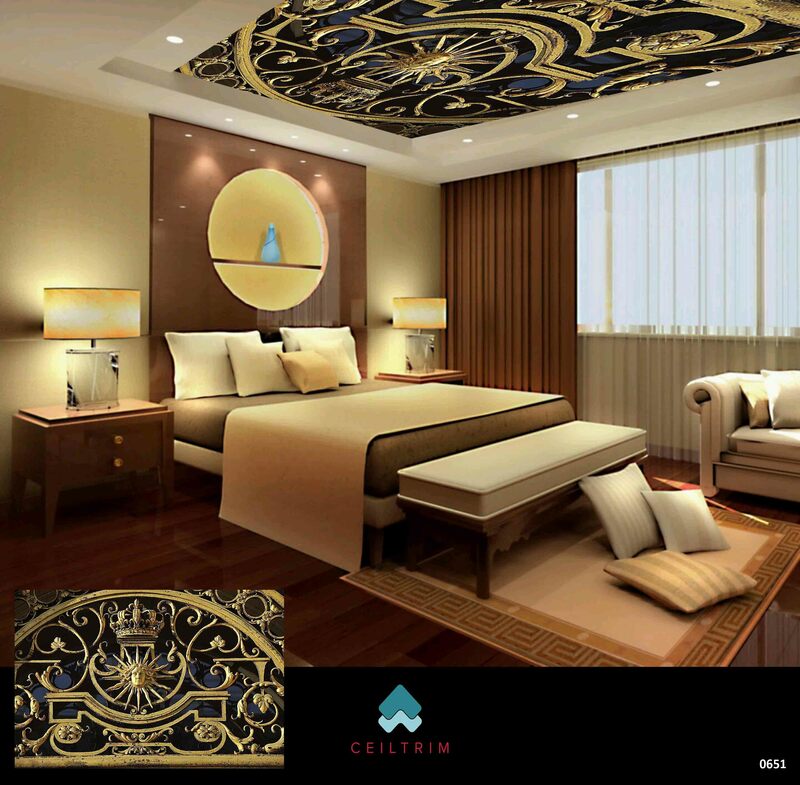 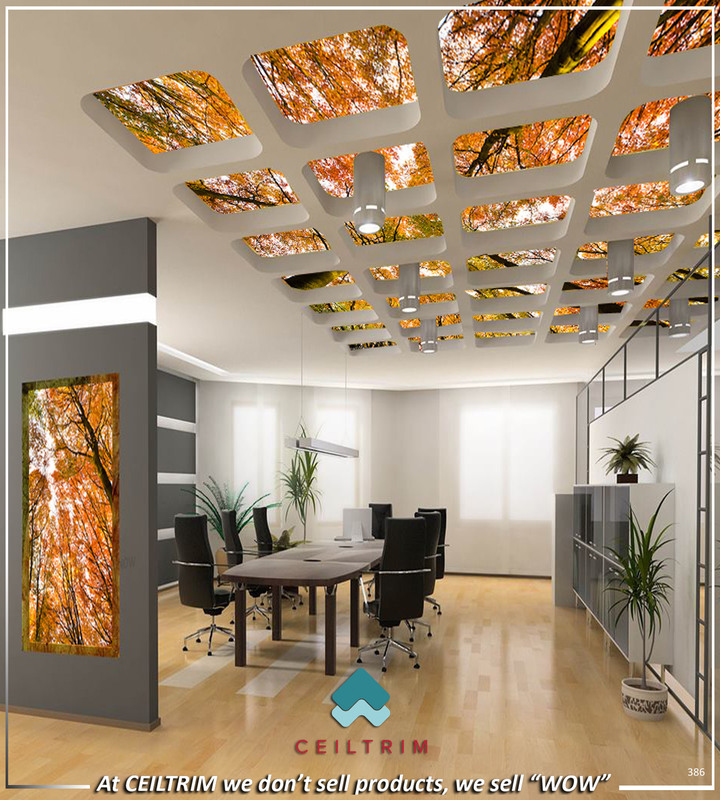 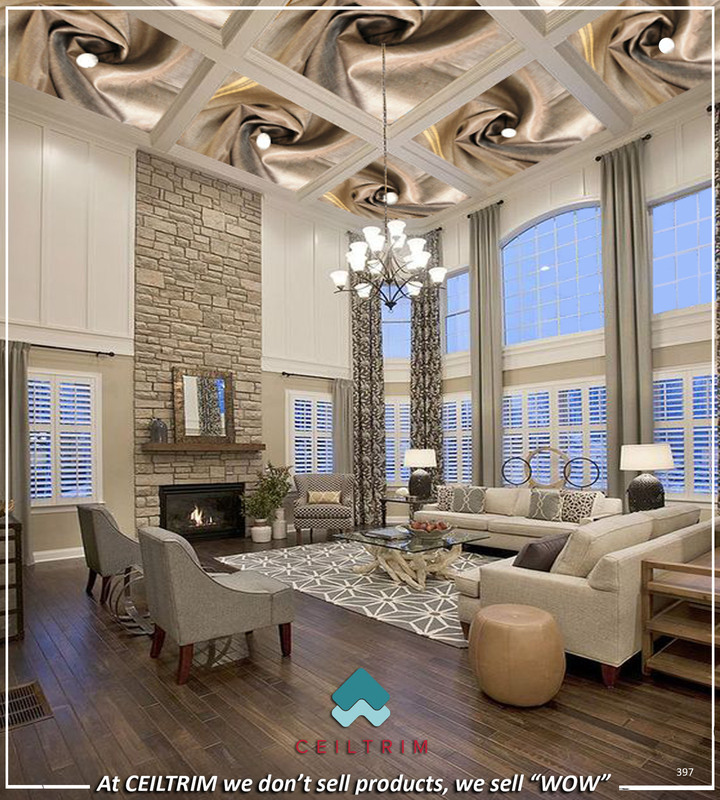 CEILTRIM Back Lit Photo Ceilings can bring calm to a stressful situation! 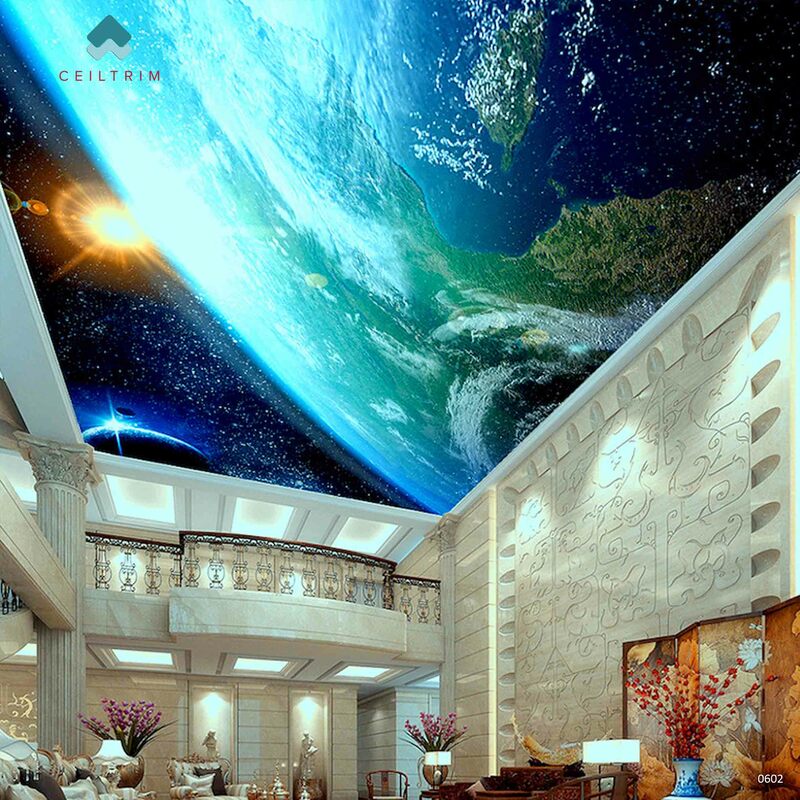 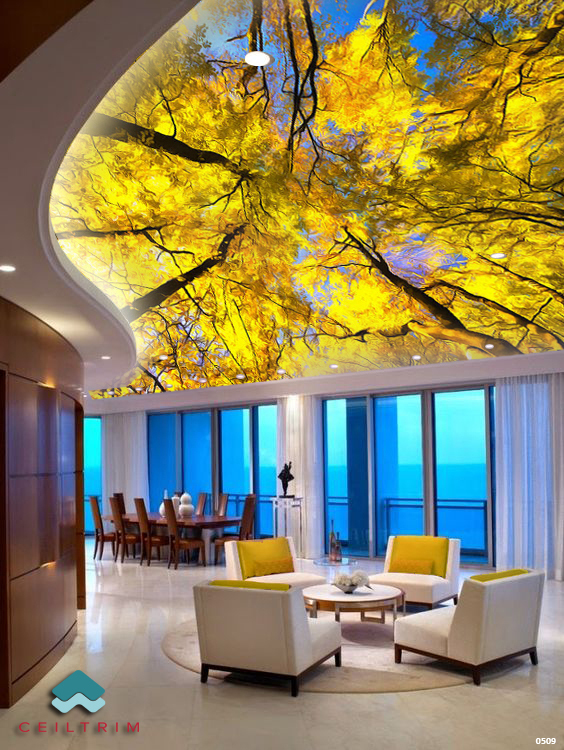 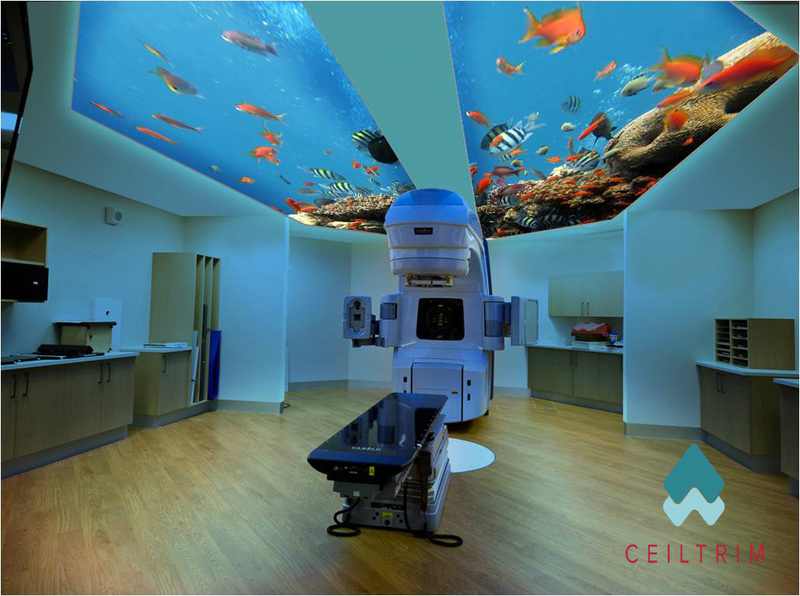 We can put ANY image on your ceiling, wall, floor or pool bottom! 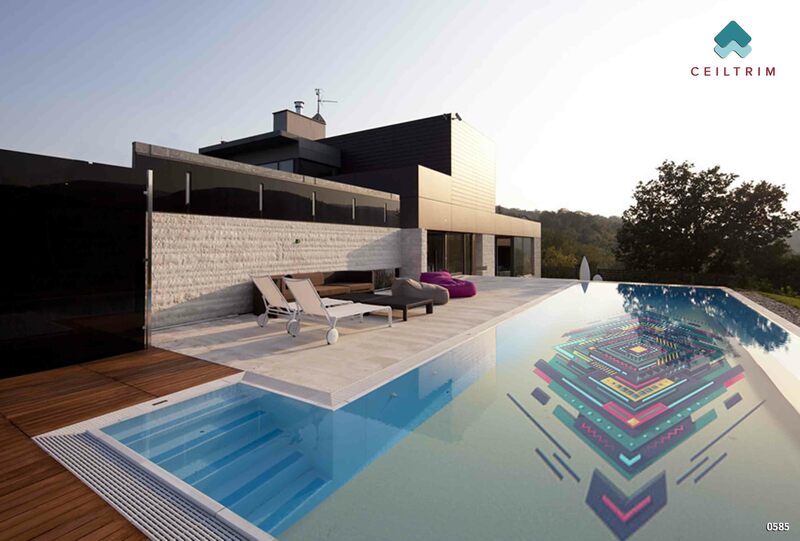 Any shape, just send us your drawings. 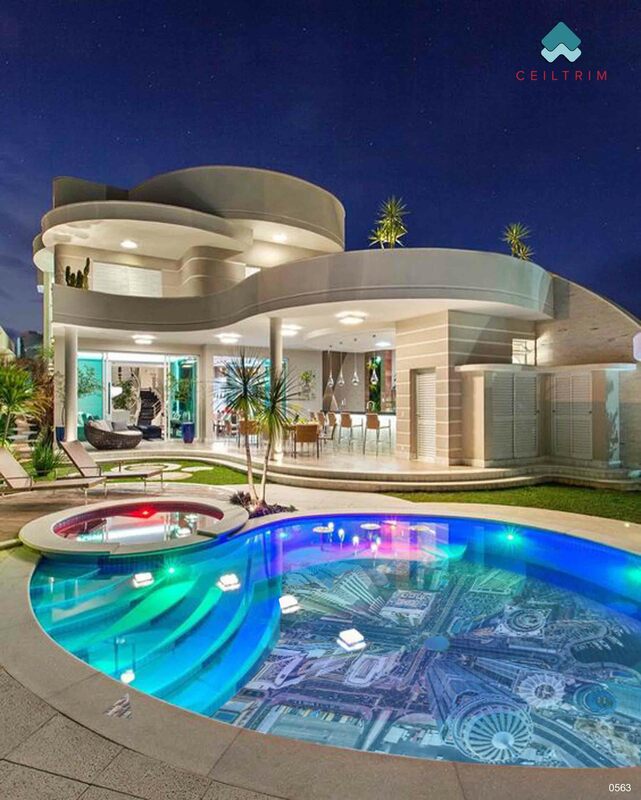 Perfectly curved every time. 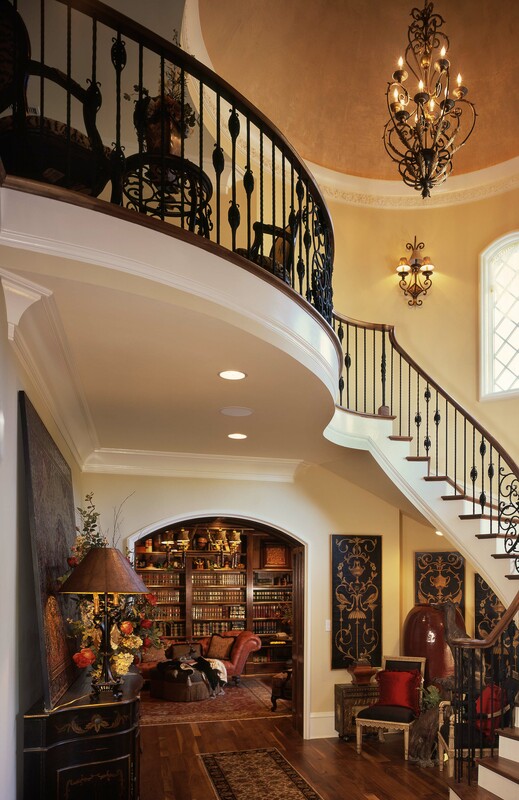 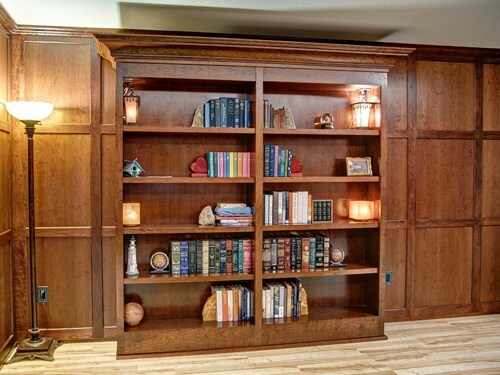 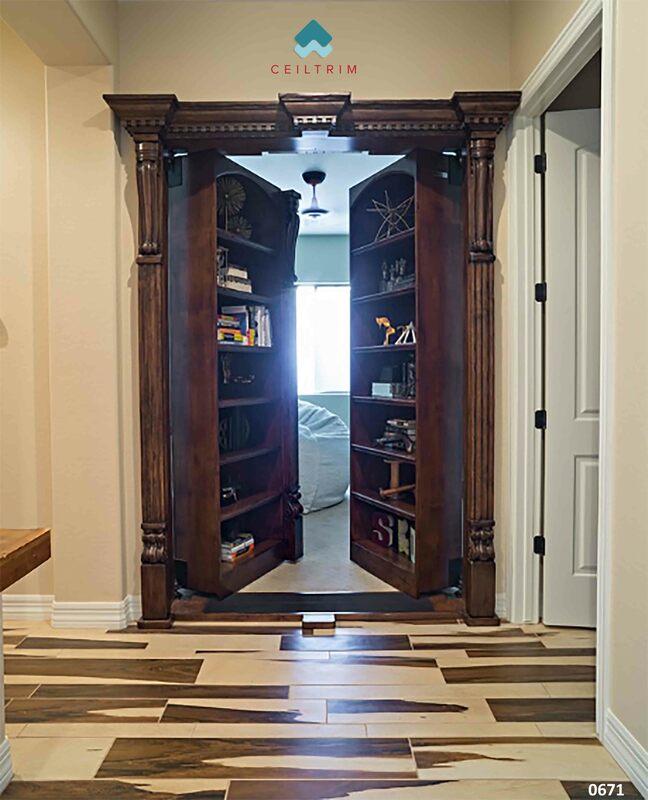 Just like the movies... Creative Home Engineering builds the most hightly engineered Hidden Passageways... once inside our CEILTRIM Fortress Bullet Proof Safe Room nobody is getting in. 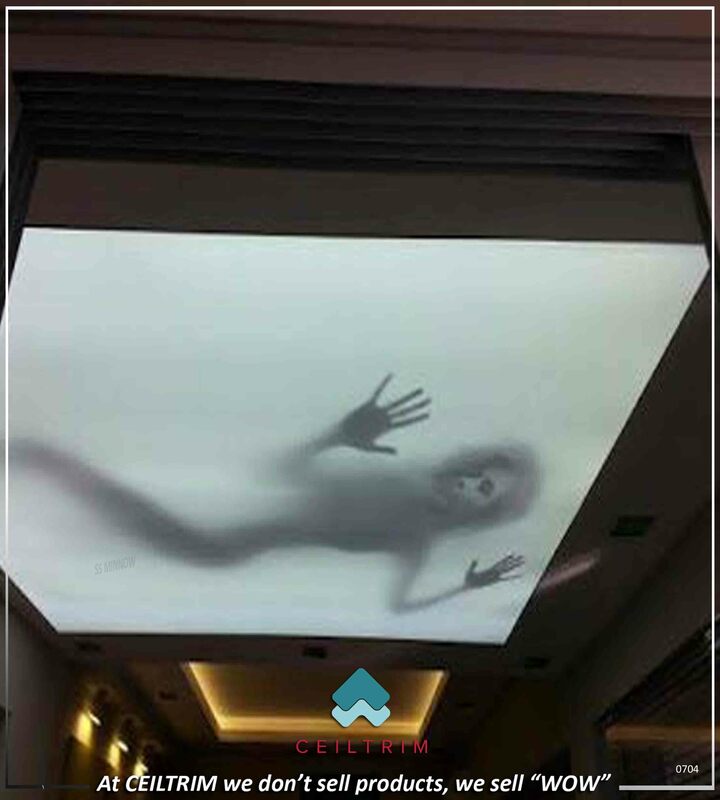 Walk into the room in the middle of the night and the motion sensor softly lights up your 3D Photo Floor! 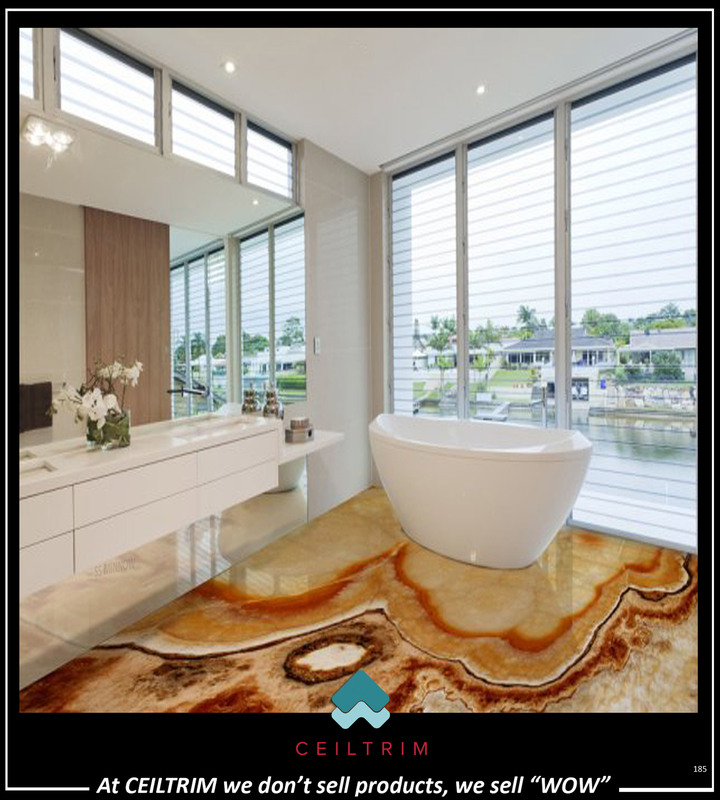 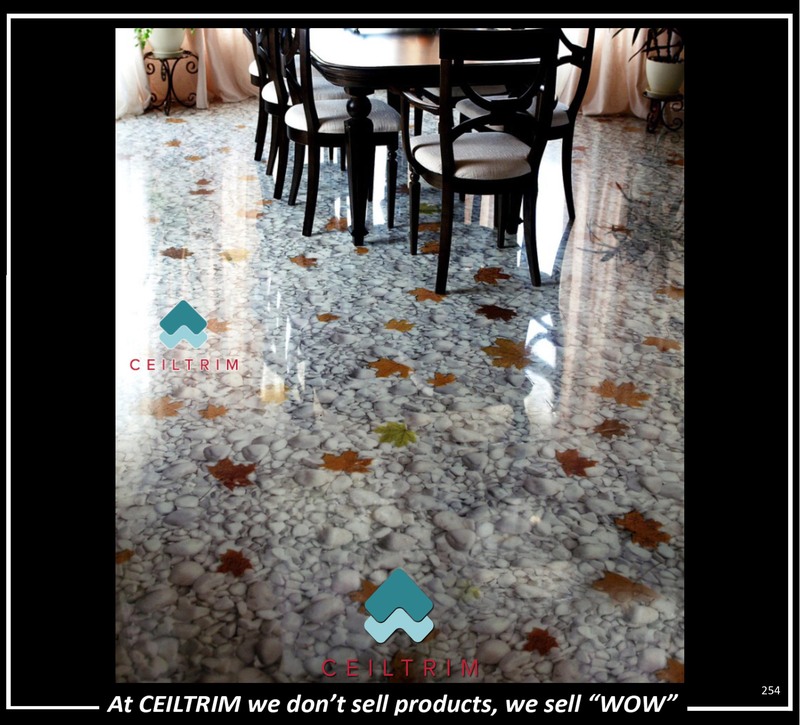 CEILTRIM can put ANY photo on your floor and cover it with our high traffic resin. 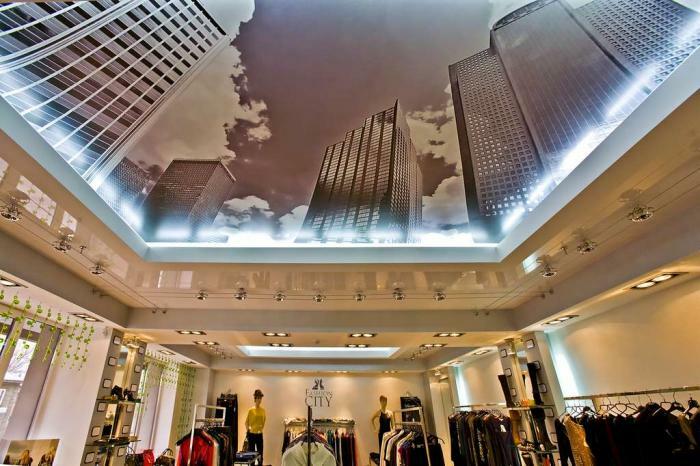 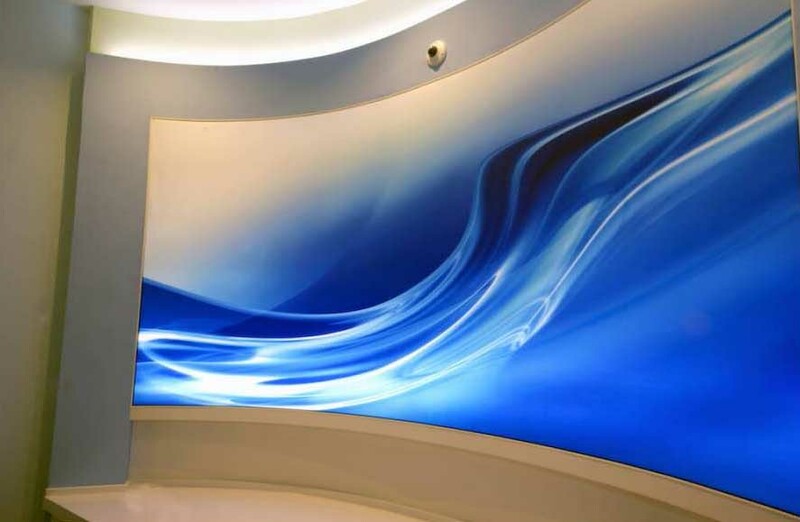 Oh wait, we can also put any photo on your wall or ceiling; flat or curved and we can back light any of them. 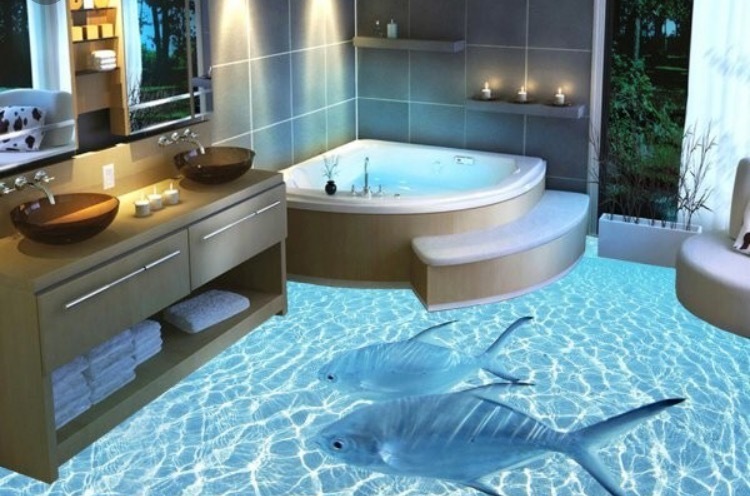 Actually we ARE THE ONLY COMPANY IN THE WORLD TODAY BACK LIGHTING 3D RESIN PHOTO FLOORS AND POOL BOTTOMS. 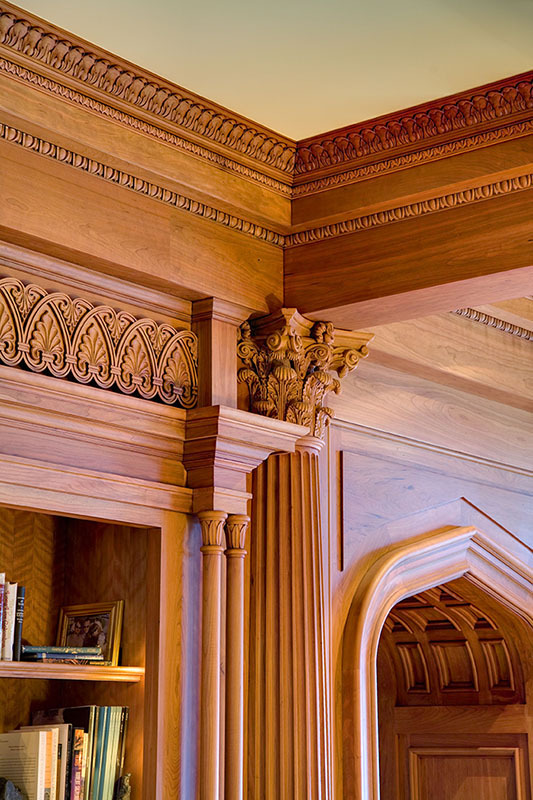 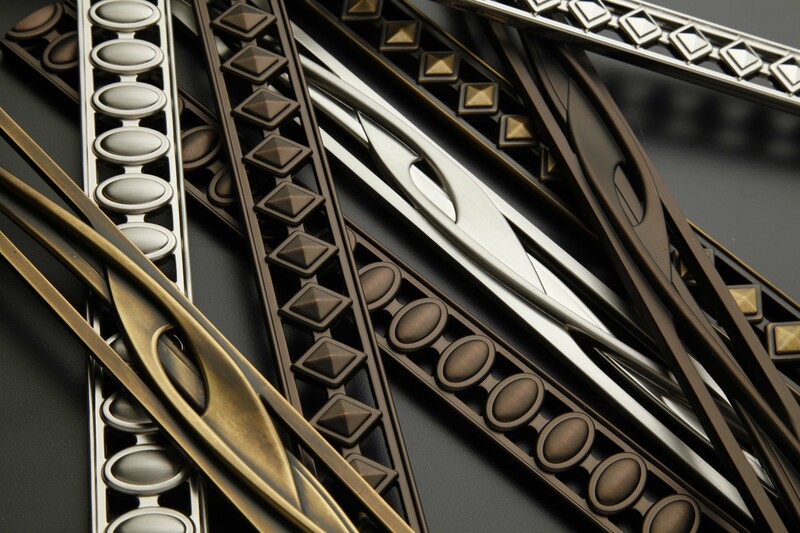 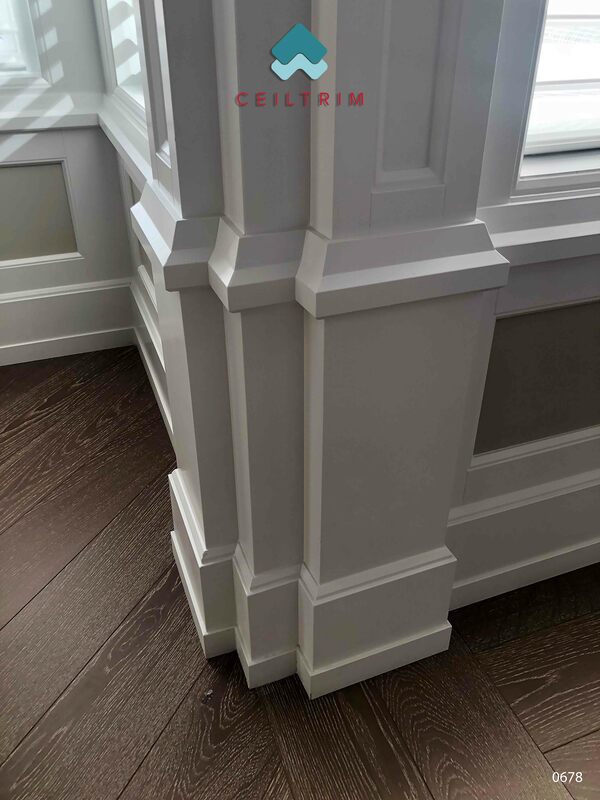 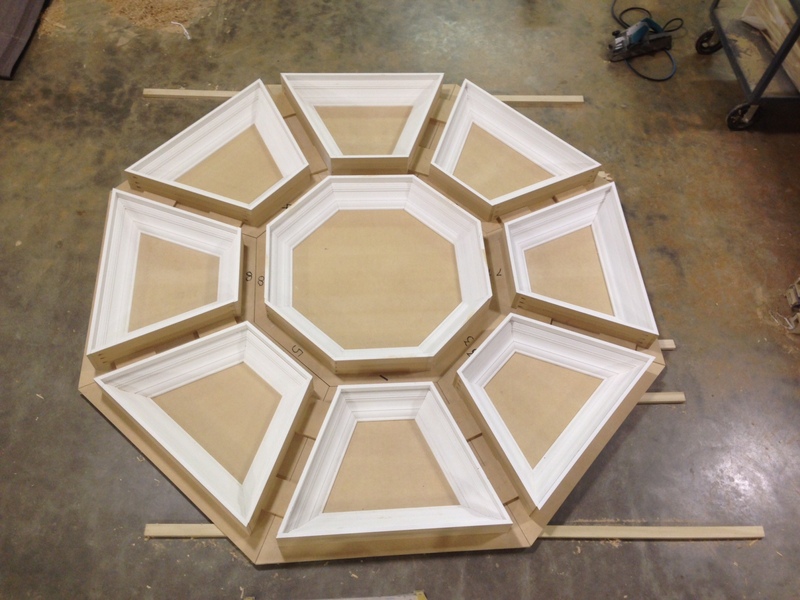 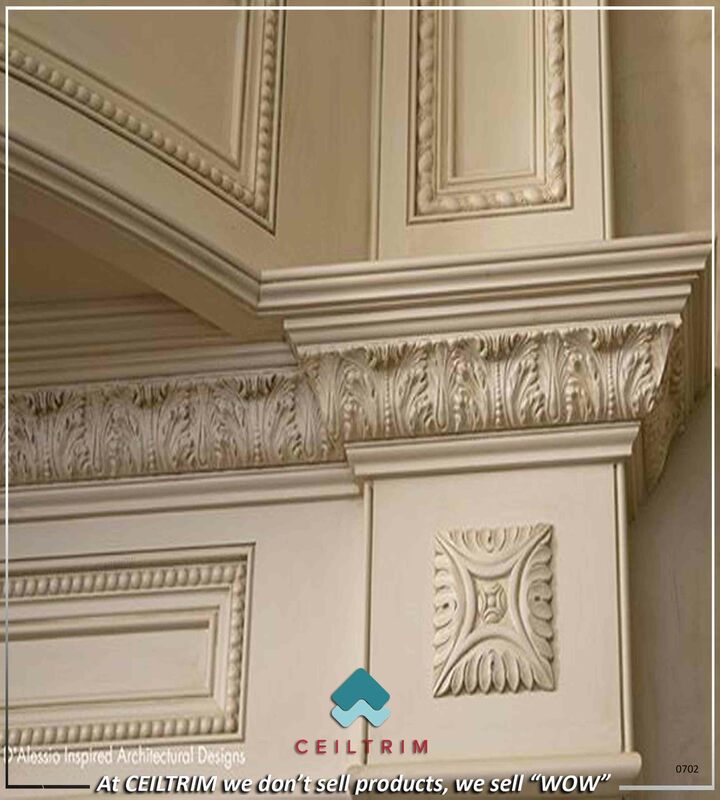 CEILTRIM Flex Trim, perfect every time and 1/3 the price of machined curved wood trim! 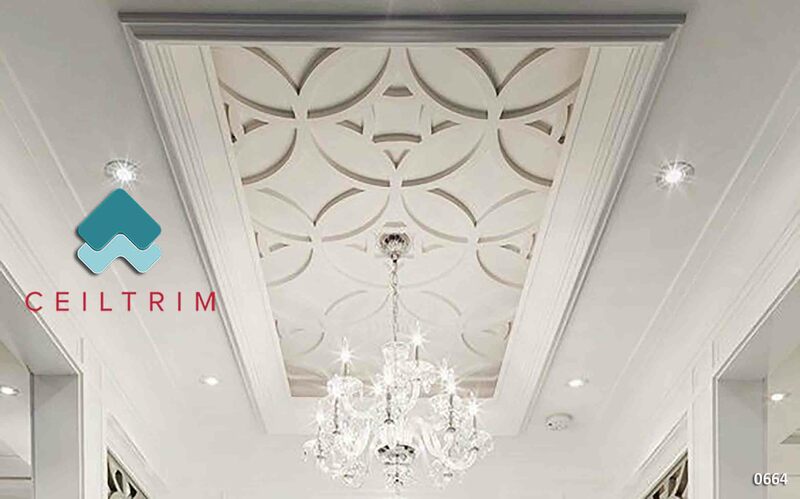 This commercial project pictured above incorporated our CEILTRIM Canadian Photo Ceilings inside of the coffers of the ceiling creating "WOW, POP, ZING"... many, many great comments about this ceiling. 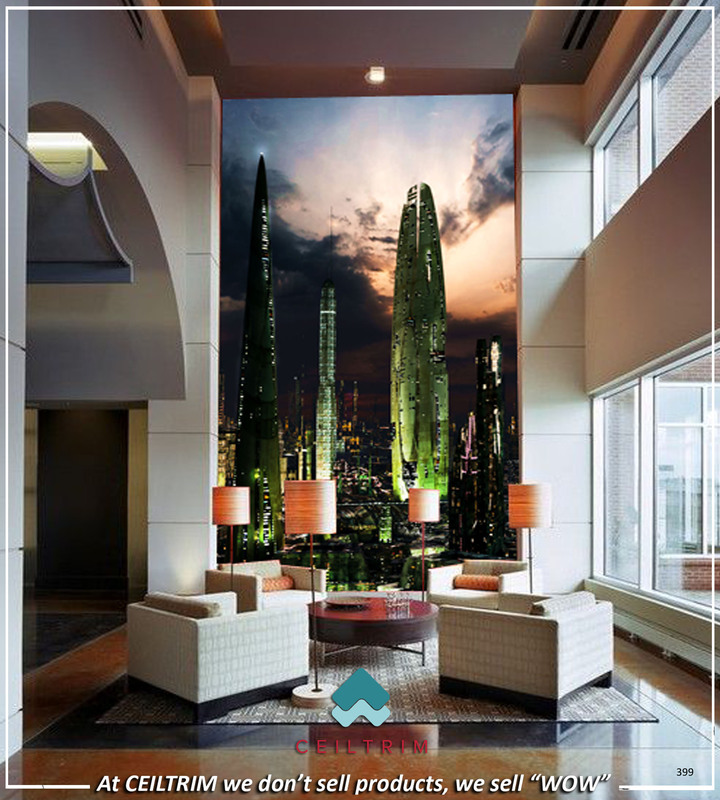 City Skyscape looking up in a commercial application. 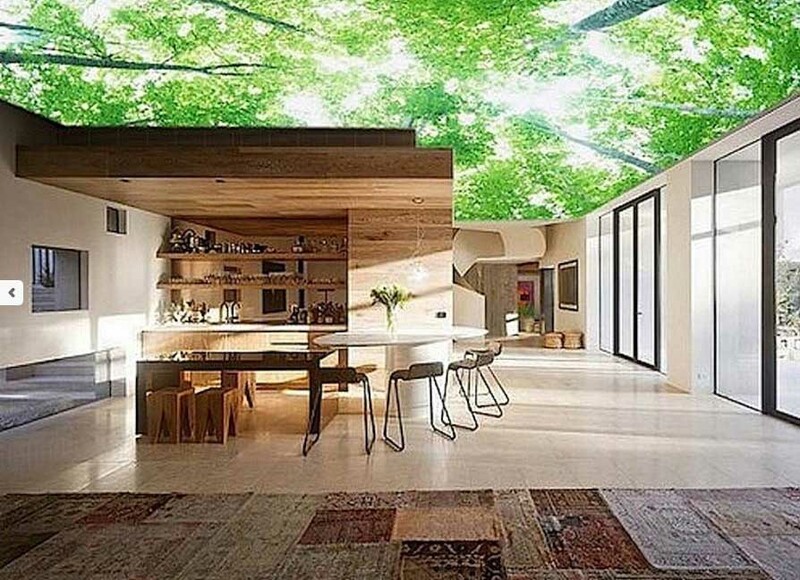 Hard to believe this is a picture and not the real outdoors but it is. 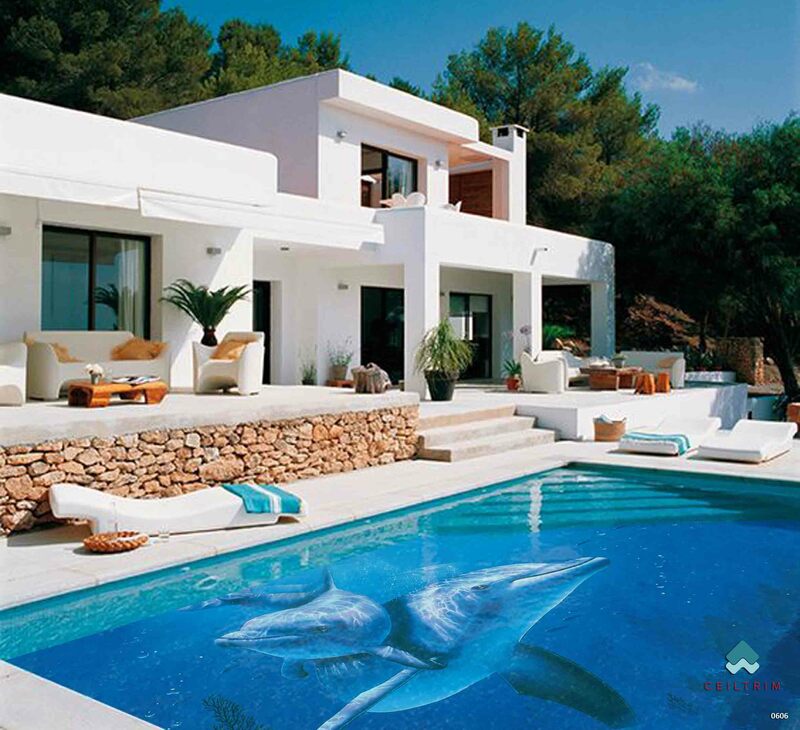 We can put ANY picture on the bottom or side of your hard surfaced pool or spa. 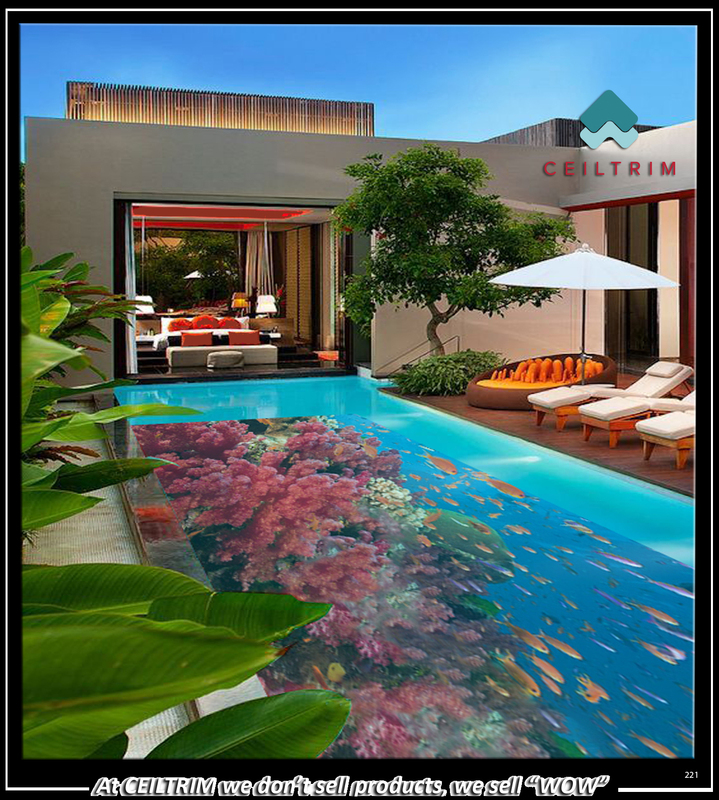 Any image on your hard surfaced pool bottom or sides. 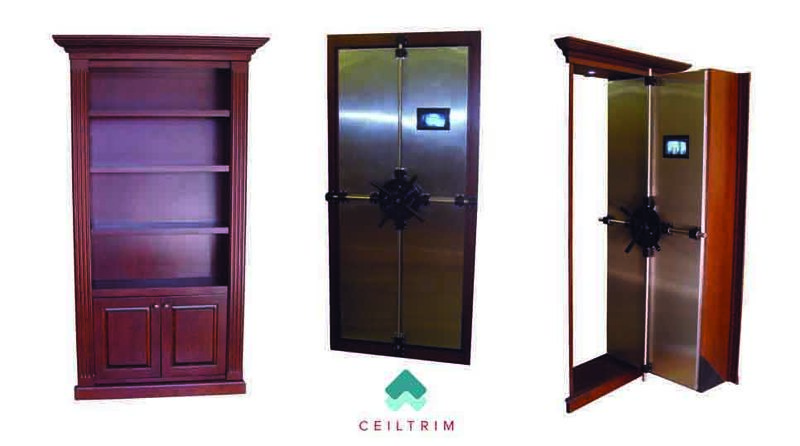 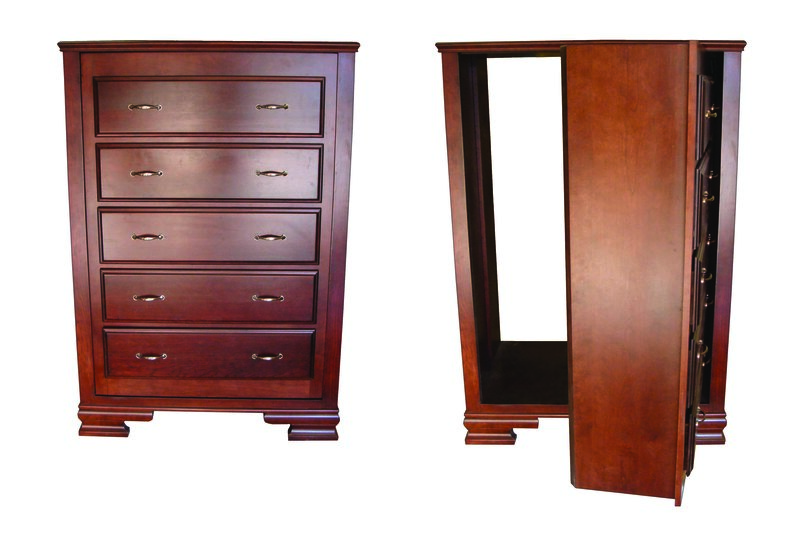 Wall unit with magnetic locks to your secret room! 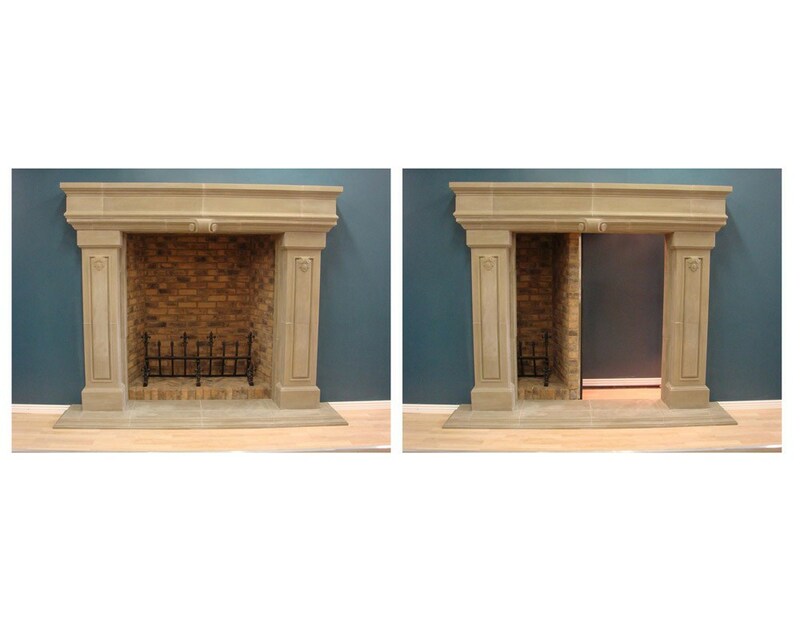 Secret Fireplace entrance to hidden room! 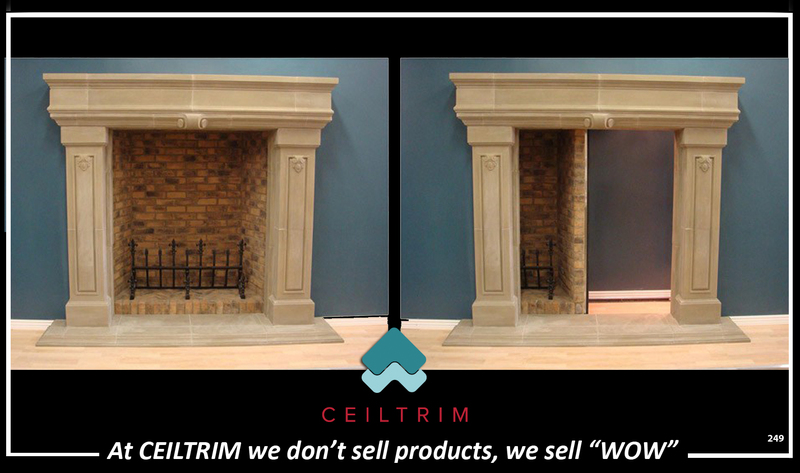 The fireplace is a working fireplace. 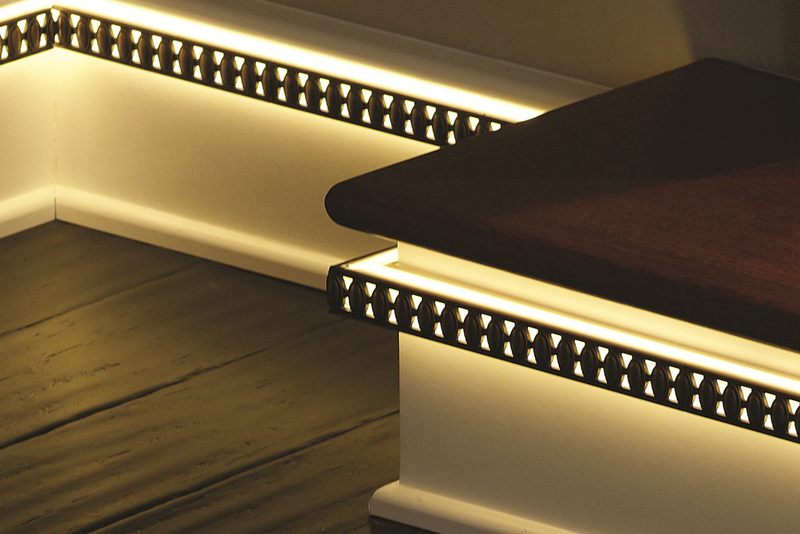 The precision ball bearing track it slides on is designed to support 6,000 lbs. 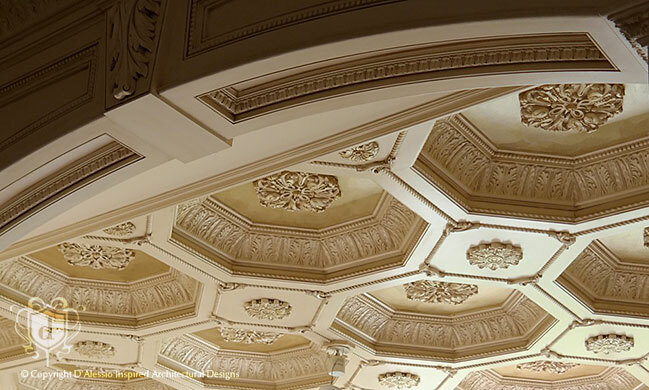 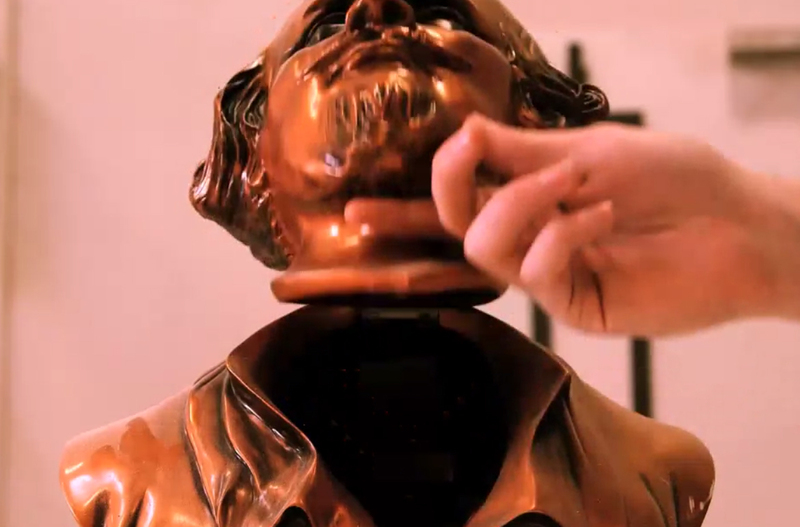 Agatha Christie would be proud! 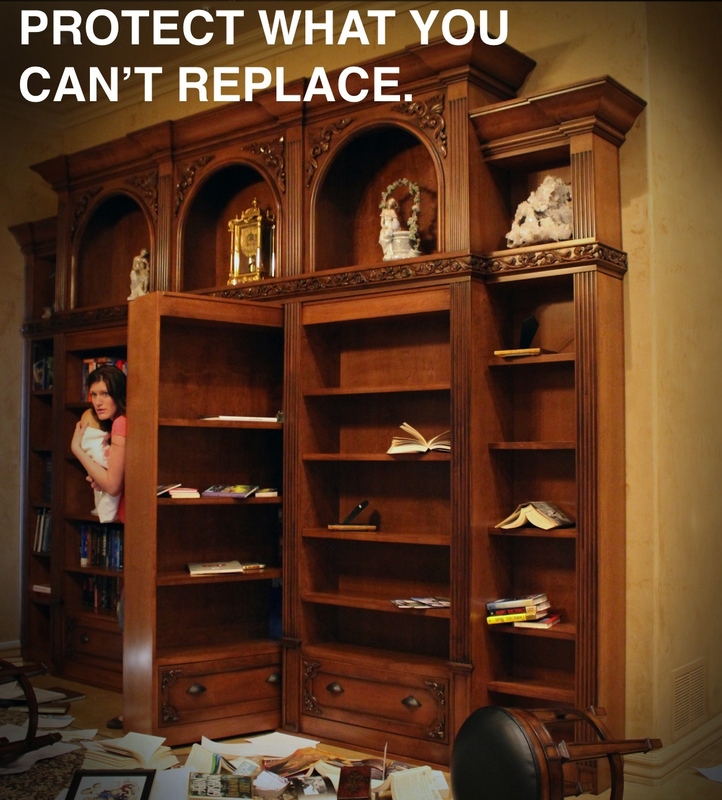 Protecting what you can't replace! 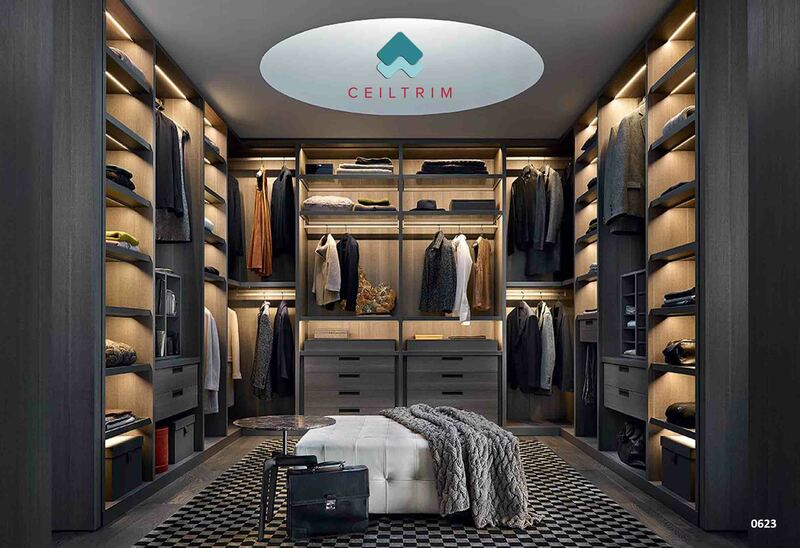 Just like the entrance to the Bat Cave but no longer a simple button, it now has a finger print scanner programmed for all those in your home or office you want to protect! 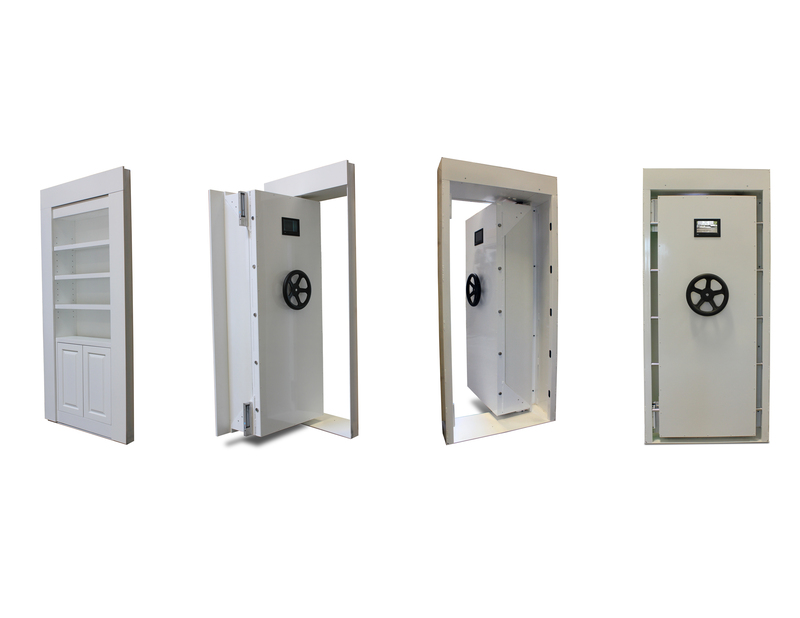 Keeping things that matter safe!